Meet us at the JEC World 2018 in Paris! 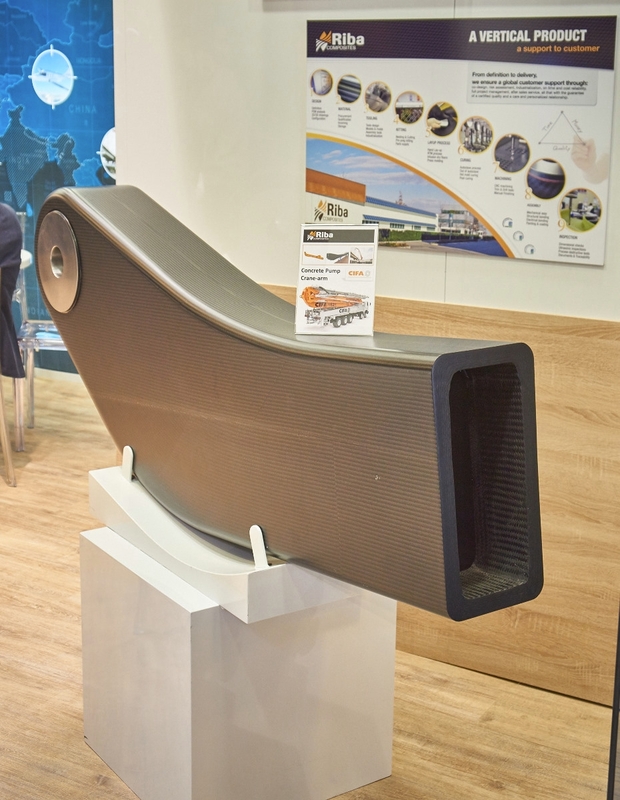 02.2018 - JEC World is the European fair for composite materials. 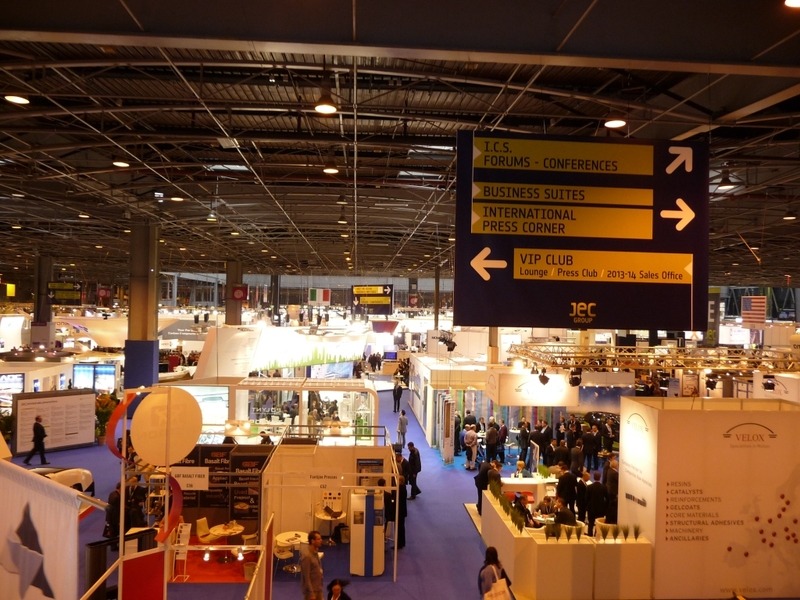 This year the trade fair will take place from March 06 to 08, 2018 at the Villepinte Exhibition Center in the north of Paris. As every year, we will inform us about the latest industry news at the fair. In addition, the fair is always a good opportunity to get in touch with old and new contacts! You are at the show and want to meet us? Contact us! 09.2017 - At the child and family rehabilitation facility "Katharinenhöhe" near Schönwald in the black forest a new playground was build. 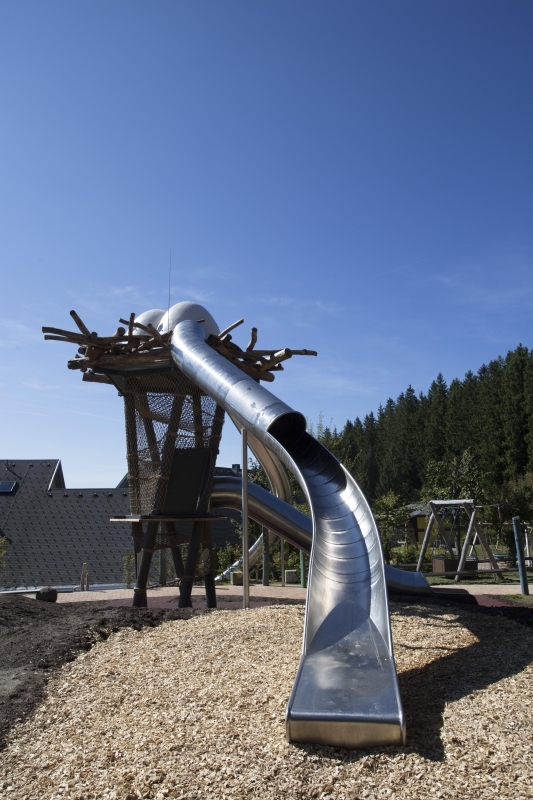 The architectual office bagageArt GmbH was responsible for the planning and design of the playground. bagageArt is well known for its individual and near-natural playgrounds. 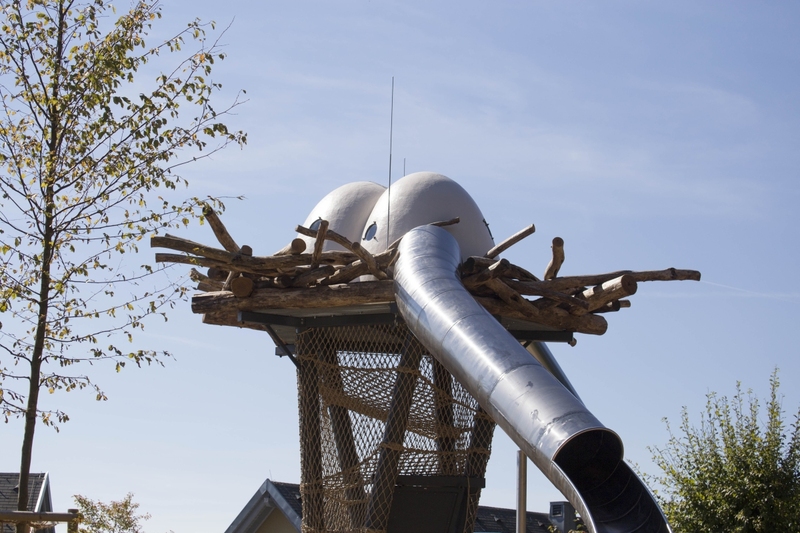 IDVA designed and provided an egg-look-like GFRP structure, which is part of the oversized bird's nest, which crowns the top of the slide-tower. 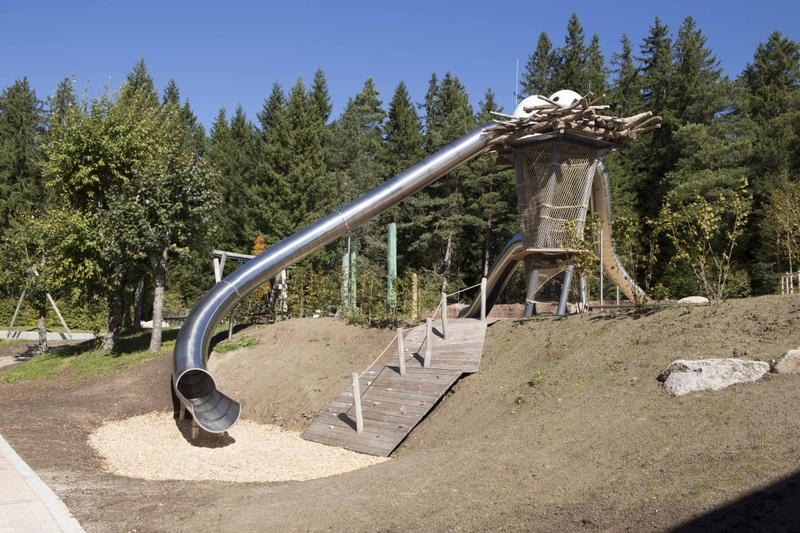 Moreover, the GFRP egg structure meets the strict requirements for child playgrounds as well as the requirements, which arise as a result of the changing weather conditions in the higher black forest. We wish all visitors of the rehab facility a lot of fun with the new playground! 05.2017 - In the three-year cycle of the certification of our quality management system (QMS) the control audit has taken place in May 2017. Conclusions: Audit successfully passed. To enable us to continue to provide you with constant high standard of our engineering services, we will switch from ISO 9001:2008 to the actual ISO 9001:2015 until the next audit in 2018. Meet us at the JEC World 2017 in Paris! 02.2017 - JEC World is the European fair for composite materials. This year the trade fair will take place from March 14 to 16, 2017 at the Villepinte Exhibition Center in the north of Paris. As every year, we will inform us about the latest industry news at the fair. In addition, the fair is always a good opportunity to get in touch with old and new contacts! You are at the show and want to meet us? Contact us! 05.2016 - In the three-year cycle of the certification of our quality management system (QMS) the control audit has taken place in May 2016. Conclusions: Audit successfully passed. During the certification process, a very close look into all quality relevant business processes will be taken. This extensive process guarantees a constant high standard of our engineering services. Thus we want to improve our services and customer satisfaction on a continuous basis. In this we will be counting on your questions, suggestions, praise or criticism, to ensure a high quality of the services provided to our customers. 03.2016 - In march 2016 we moved to our new premises in the Wilhelmstraße 38 in Freiburg. Everything else remains the same: No change in our contact data except the street name and house number. For guests who travel by train, we are even more easily accessible. 11.2015 - For five years now, we are offering our engineering services. It is through our customers and business partner that we can think back on many exciting and successful projects. We look forward to working with you on more exciting projects! 05.2015 - The Smart Green Tower is a residential and commercial tower, which will be built in Freiburg on the former rail freight area. 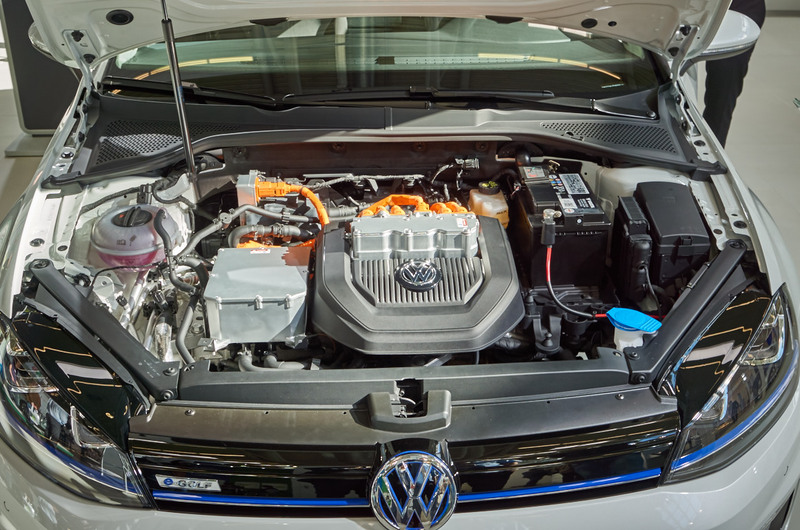 The innovative energy concept will be its outstanding feature. 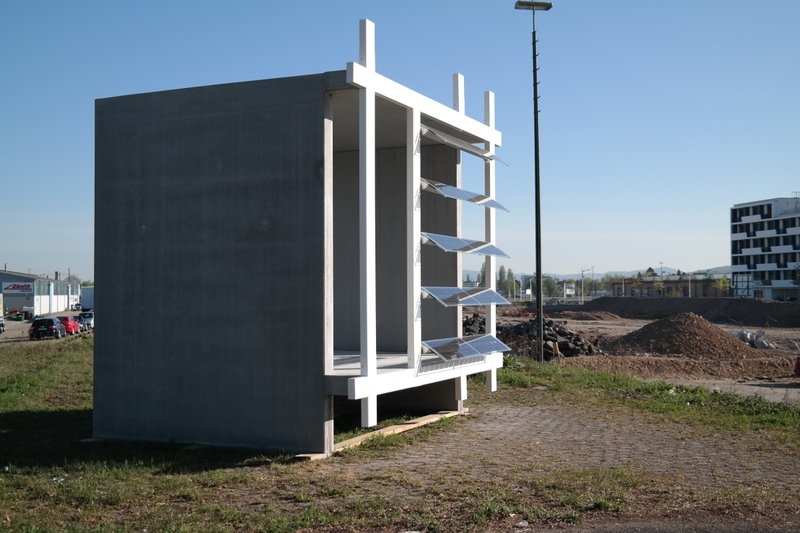 The facade will be equipped with modern photovoltaik elements and an energy storage system. So the building can be operated nearly autonomously. IDVA worked out a concept for a facade made of fibre reinforced plastic profiles for the architectural office “Frey Architekten”. 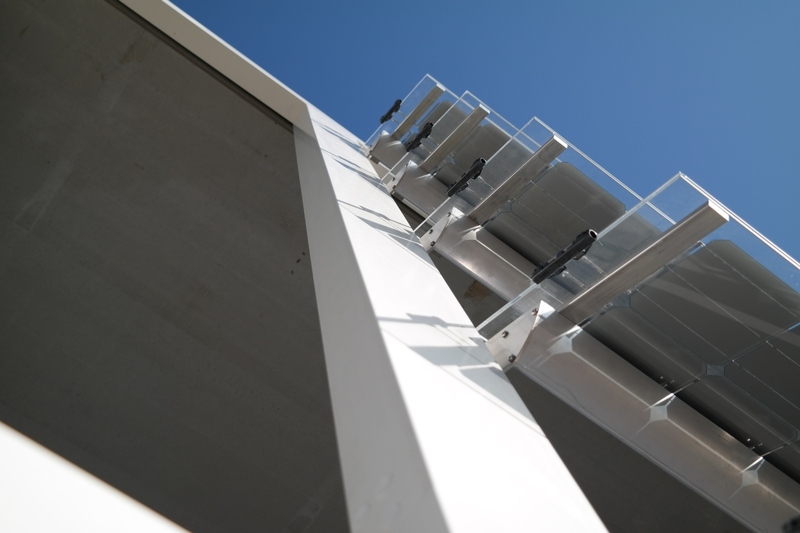 The main challenges during the development were the integration of connecting elements (profiles to supporting structure and photovoltaic elements to the profiles) and compliance with the fire protection regulations. 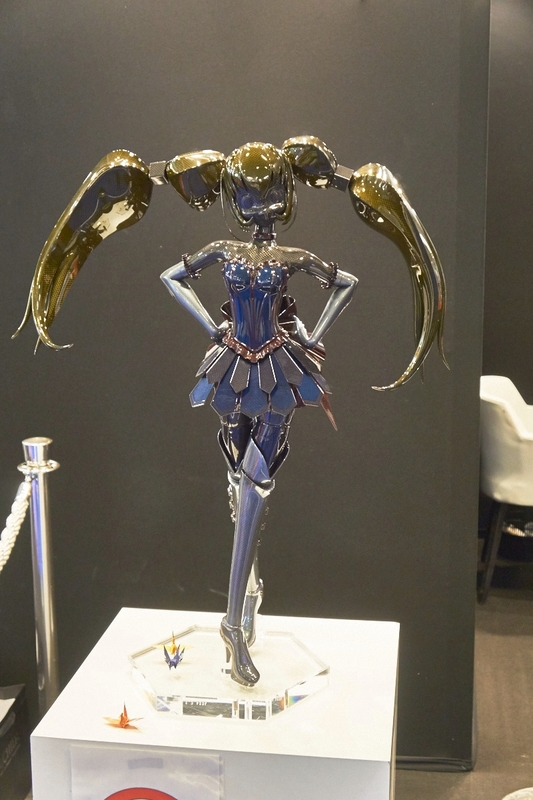 A full-size model of the concept design was build. 04.2015 - The IDVA quality management system was reviewed in the course of the first revision audit. Conclusions: Audit successfully passed. During this audit, a very close look into all quality relevant business processes was taken. This extensive process guarantees a constant high standard of our engineering services. Thus we want to improve our services and customer satisfaction on a continuous basis. You can find more information about the issue of quality in the menu item "Quality". 03.2015 - In a joint research project, the CTC GmbH and the IDVA GmbH developed a process for an automated production of CFRP preforms aimed for the manufacturing of aircraft frames. 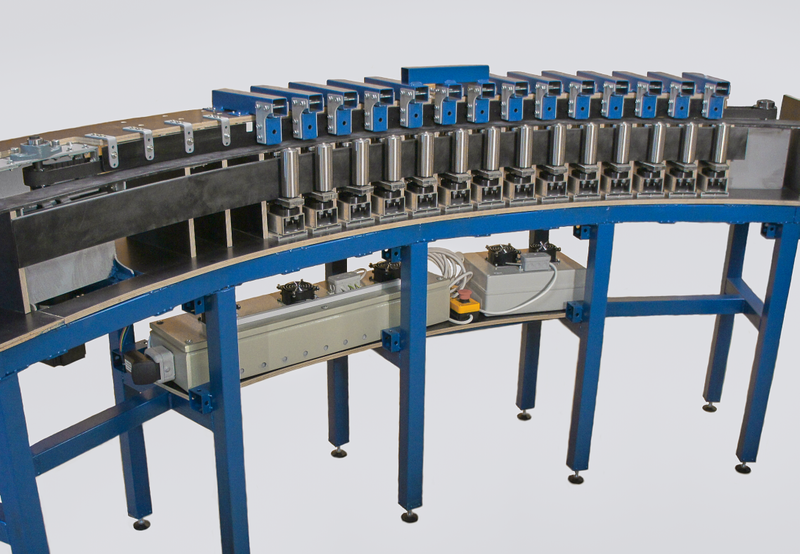 This process has been successfully validated by a prototypic machine that has been developed and built by the IDVA GmbH. 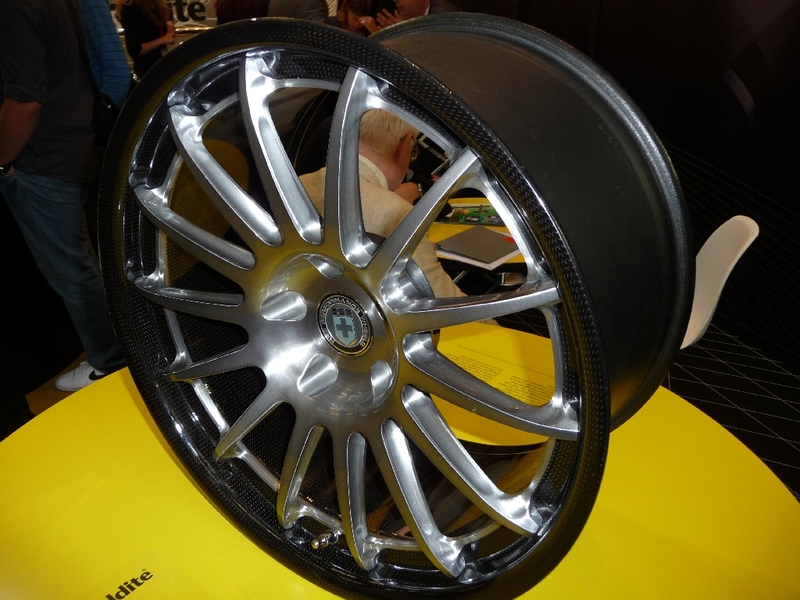 Concerning this development project, an article has been published in the members’ journal of Germany’s biggest composite network, Carbon Composite e.V. (CCeV). The CTC GmbH is an enterprise founded by Airbus Group, which is located at the aerospace factory in Stade/Northern Germany. This factory is the nucleus of research, development and production of CFRP aircraft components in civil aviation and is currently the model production facility for CFRP parts in the company. 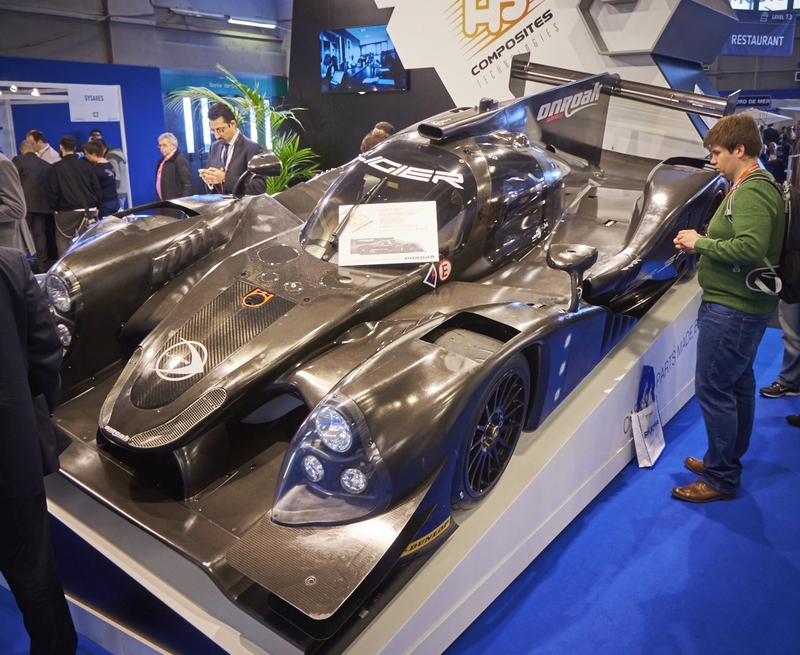 The CTC GmbH represents the research and pre-development department for CFRP production technology and construction methods. With the broad experience of many joint projects, the capabilities of IDVA GmbH and CTC GmbH complement each other for the benefit of the customers. 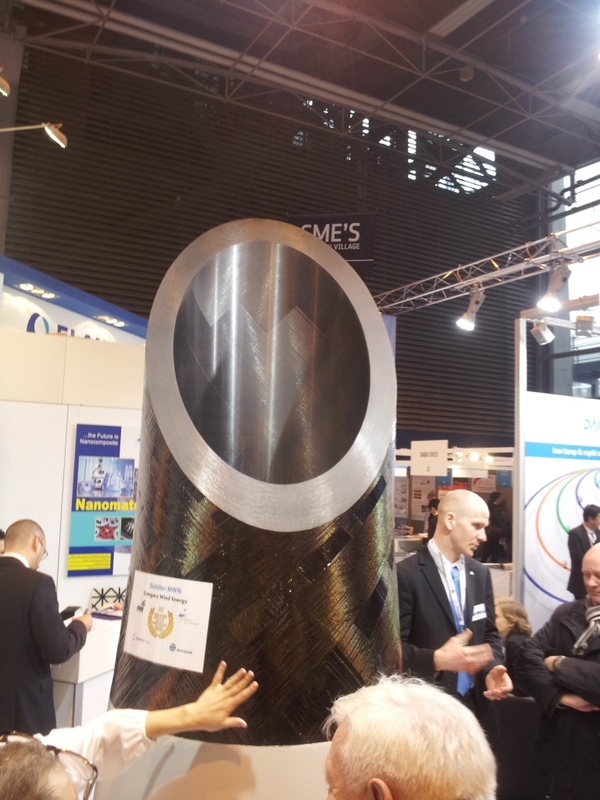 03.2015 - The Joint Exhibition in Composites (JEC) Show opened once again their doors to an international audience in Paris. The who-is-who of the branch presented a whole bunch of partial outstanding exhibits and demonstrator parts. 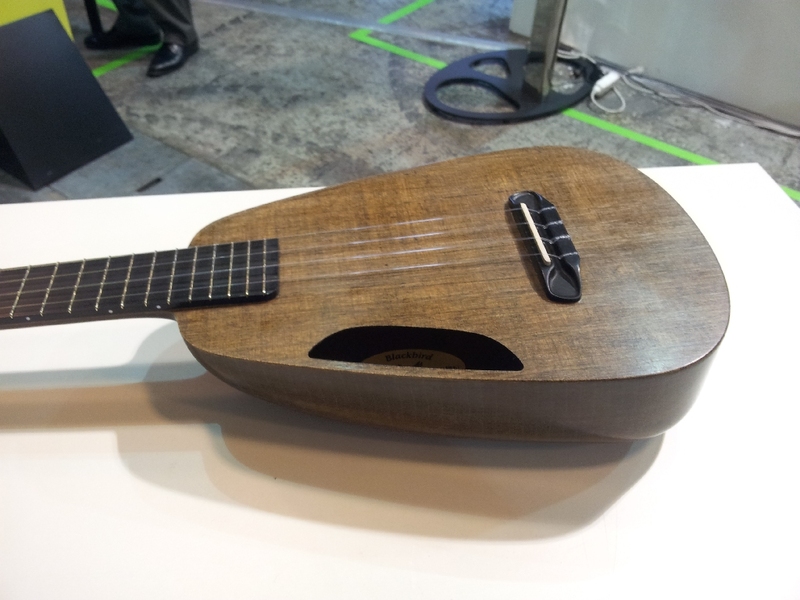 The suppliers of natural fibre composites products were delighted by the growing interest in their products. 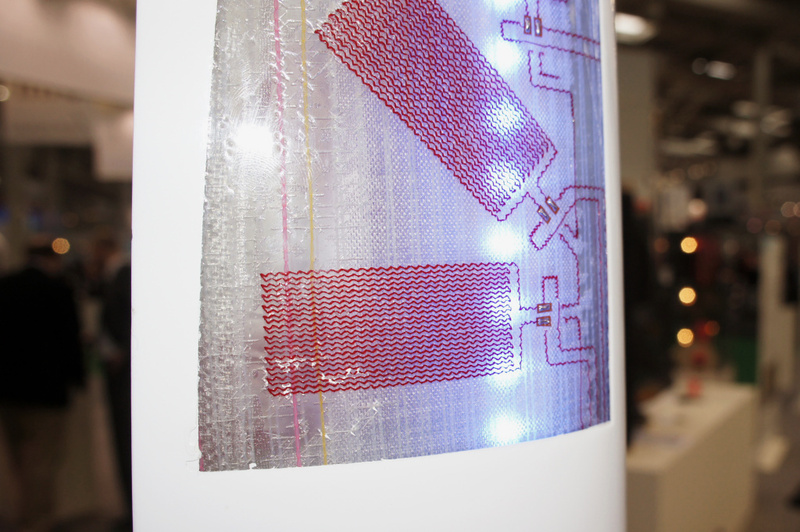 Some of them had joined together for an joint booth and showed interesting application examples for this promising material. For the next year, big things are about to happen: The fair will likely move to a new exhibition space near the airport of Paris. 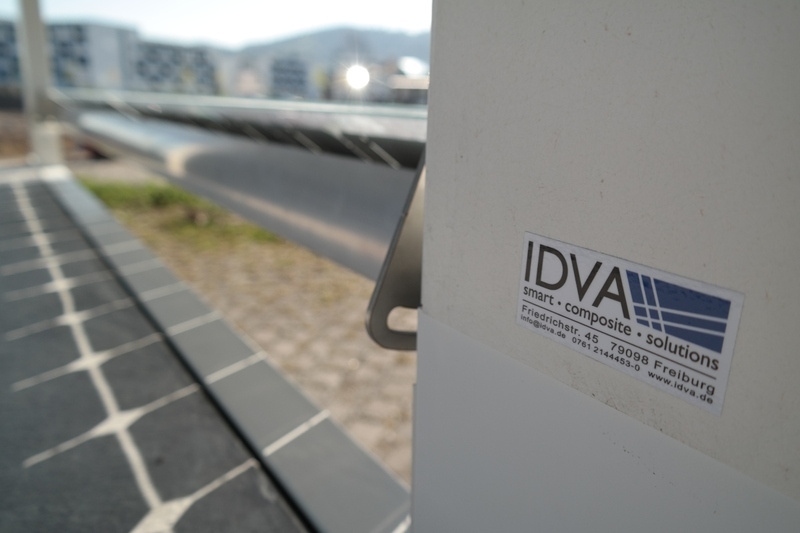 IDVA joins the Carbon Composites e. V.
01.2015 - The Carbon Composites e. V. (CCeV) is a network of companies and research institutions, covering the entire value chain of high-performance fibre reinforced composites in Germany, Austria and Switzerland. Additional to advanced training seminars and conferences the CCeV offers the possibility to participate in working groups with the focus on exisiting challenges concerning fibre reinforced composites technology. With the membership in the Carbon Composites e. V. we can extend our knowledge and benefit of the advantages of the huge network of partners and know-how. 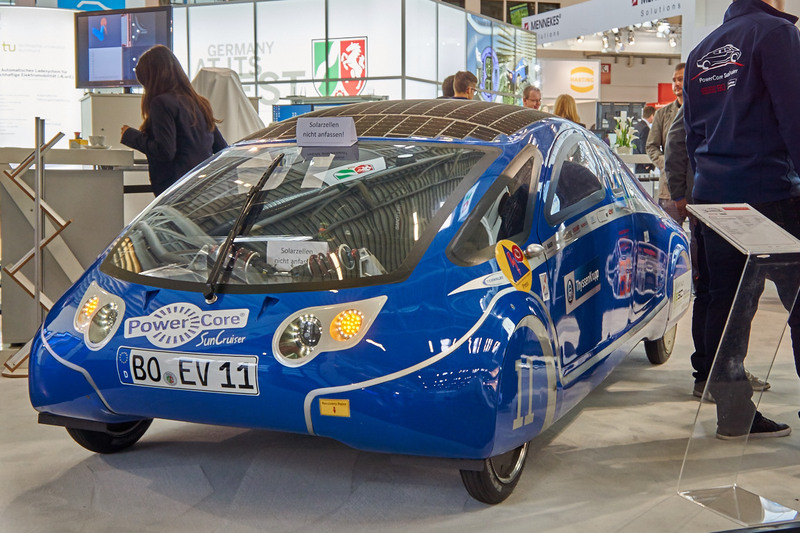 10.2014 - A visit at the jointly organized fairs Materialica und eCarTec at the former Munich airport delivered information to new materials together with a detailed view into the world of electric mobility. 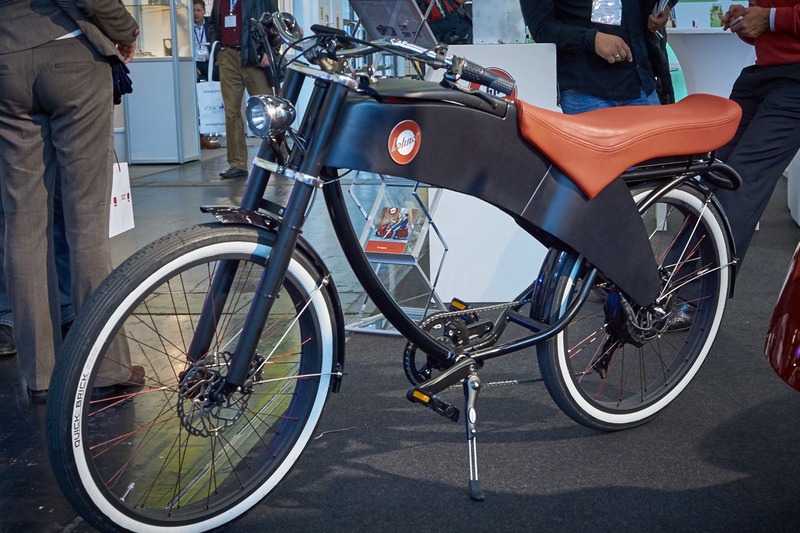 It’s remarkable how far the standardization progress concerning electric vehicles and electrically supported bicycles has evolved in the last years. This is shown by the huge amount of different suppliers of standard parts like battery packs, charging stations and plugs. The suppliers offer these parts in different versions as solutions for series productions. Several solutions for wireless charging of electric vehicles had also been presented. 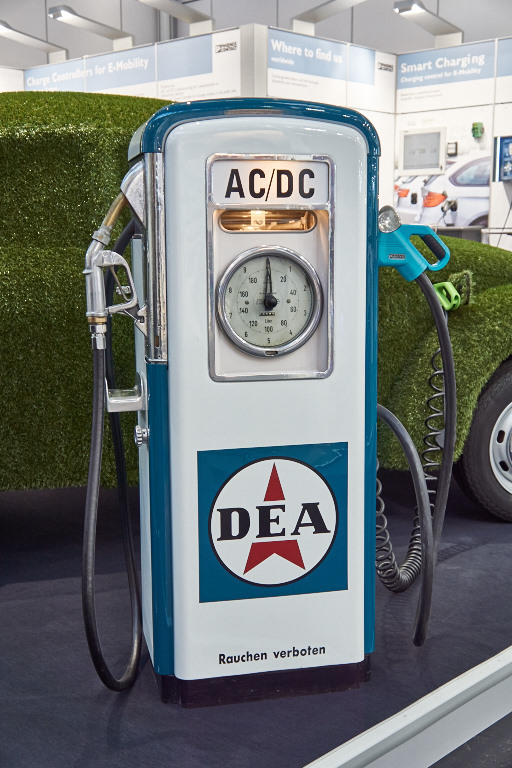 To charge a car like this it is simply parked over a base plate and the charging process gets started with a power of several kilowatts. So a full charge of the battery is possible under everyday conditions. 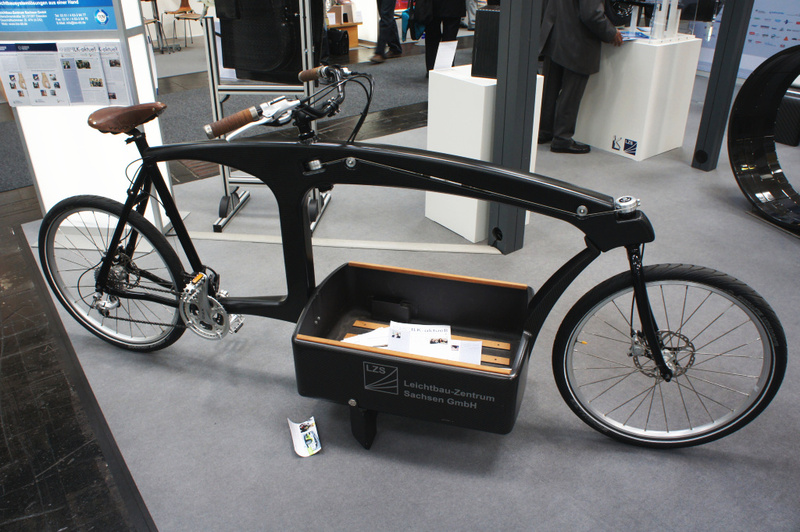 But electric mobility is nothing without lightweight design and its materials. A lightweight construction and electrically powered replica of the famous Porsche 356 has been put on display. It includes an innovative structural concept made out of flat FRP sandwich boards. 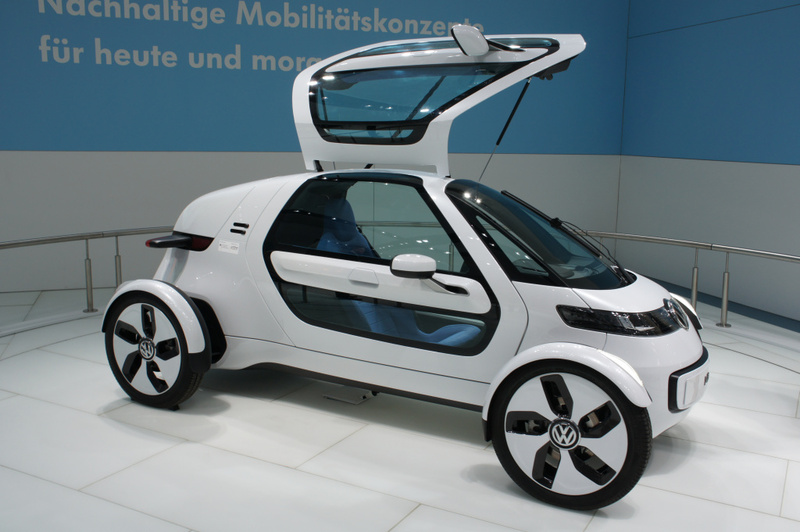 To compensate the extra weight caused by the batteries, lightweight design plays an important role in the electric mobility business. 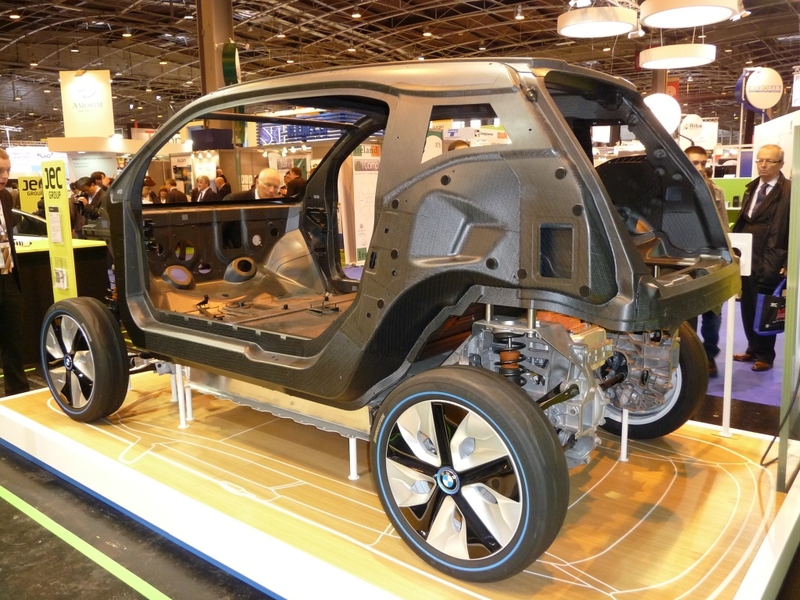 Fibre reinforced plastics like “carbon” are being used by German car manufacturer BMW in their city vehicle “i3” for the complete passenger compartment. 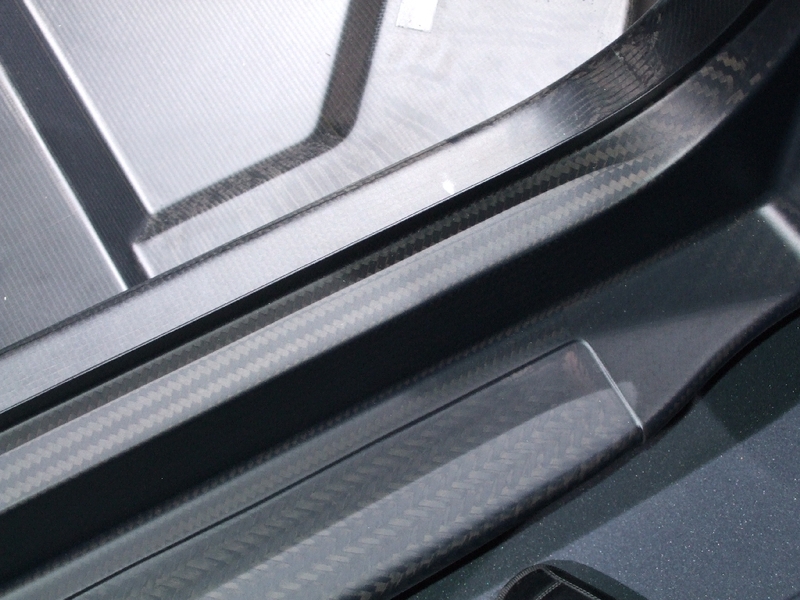 Other electric series production and concept vehicles trust in carbon fibre reinforced plastics as well to enhance the mileage and driving performance. 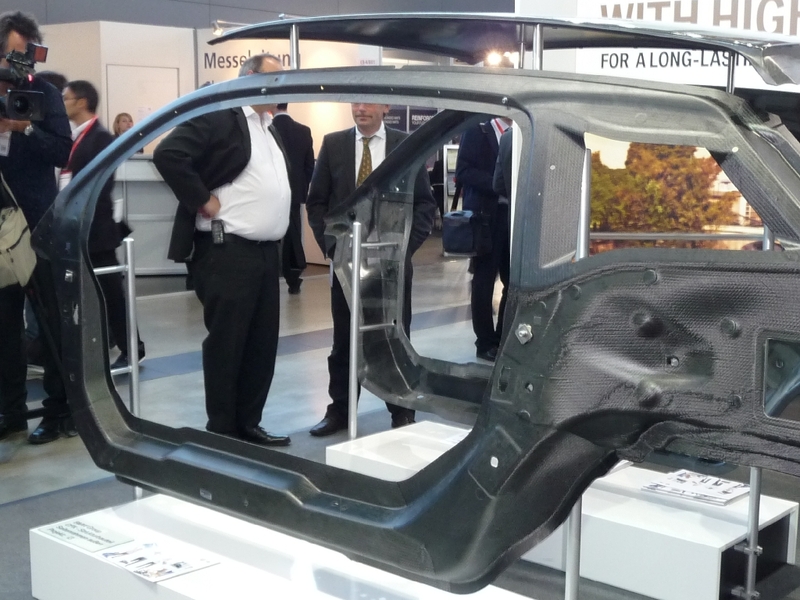 IDVA GmbH with its experience in the development of lightweight vehicle structures is the perfect contact for potentially interested partners. 10.2014 - Like two years ago the Composite Europe opened its doors in the city of Düsseldorf. This fair is Germany’s biggest composite fair. Beside the well-known suppliers of materials and production machines several new processes and parts could be seen at the different booths. 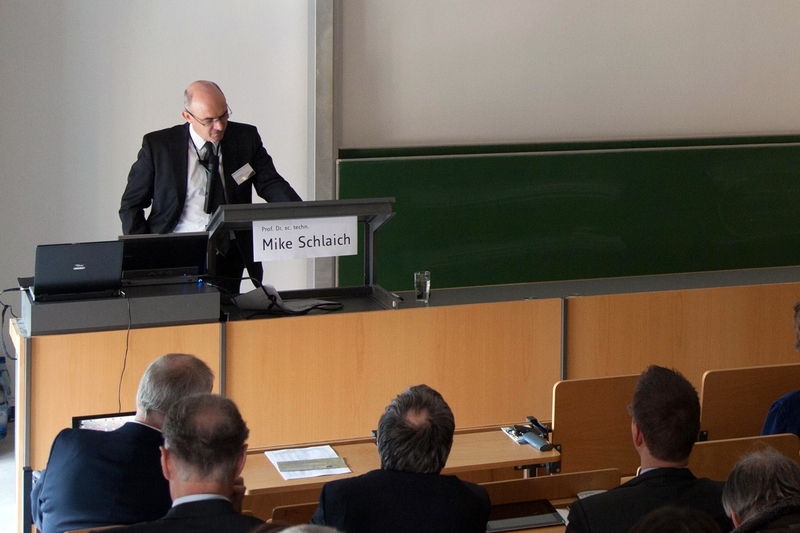 10.2014 - IDVA participate at a business breakfast at the Institute for Lightweight Structures and Conceptual Design (Institut für Leichtbau Entwerfen und Konstruieren - ILEK) at the University of Stuttgart. Professor Sobek presented the current research activities at his institute. 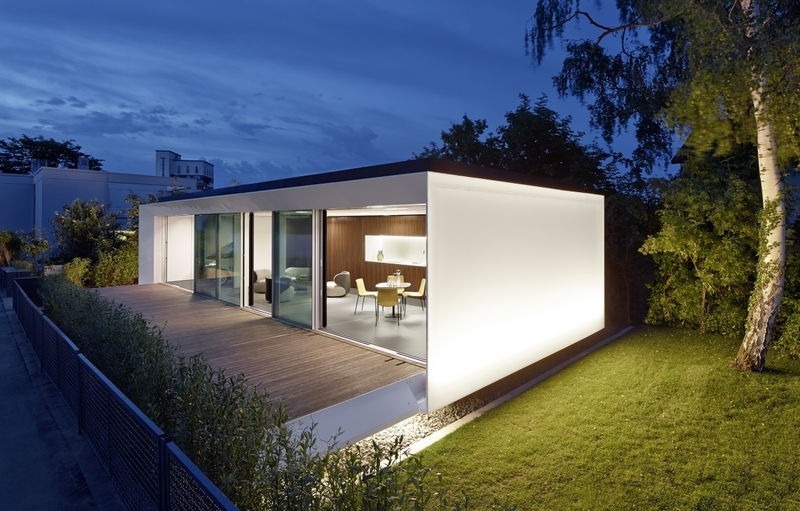 In detail, the Aktivhaus (“Active House”) B10 in Stuttgart which was completed in spring was introduced. The Aktivhaus B10 generates twice the electricity it requires from sustainable sources. The surplus energy is used to provide power for electric cars and houses in the neighbourhood. Additionally, the B10 is fully recyclable. We would like to thank Mr. Sobek and his team for that interesting outlook on the future of structural engineering and the AFBW e.V. for the organisation of the event. 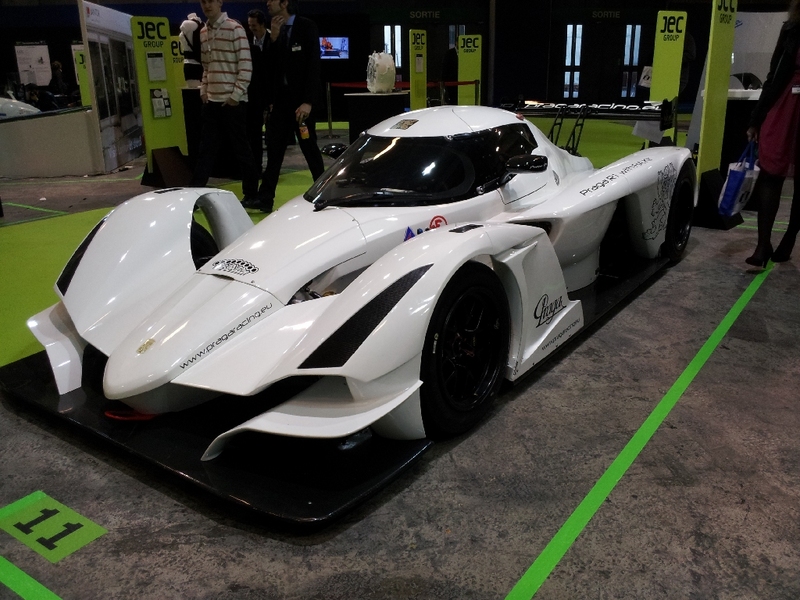 05.2014 - On 14 May 2014 the Technology Day Hybrid Lightweight Design (1. 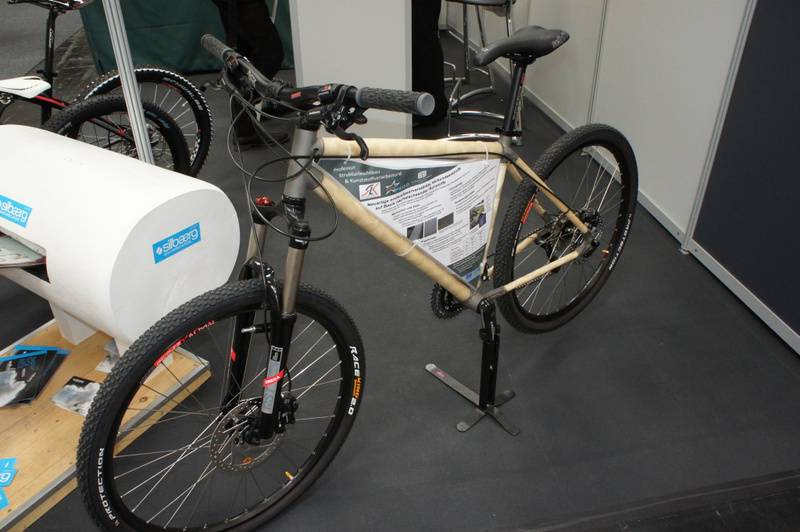 Technologietag Hybrider Leichtbau) took place in Stuttgart. 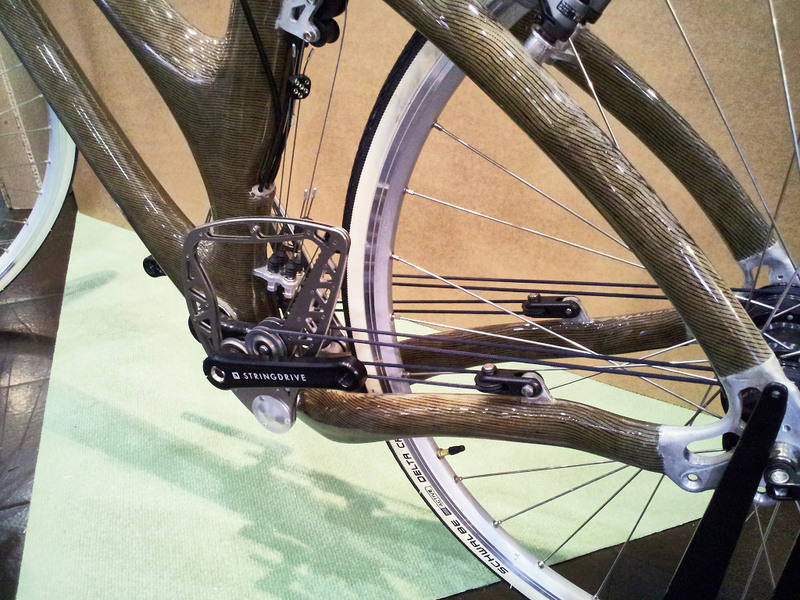 It has been arranged for the first time by Baden-Württemberg's state agency for lightweight Design. 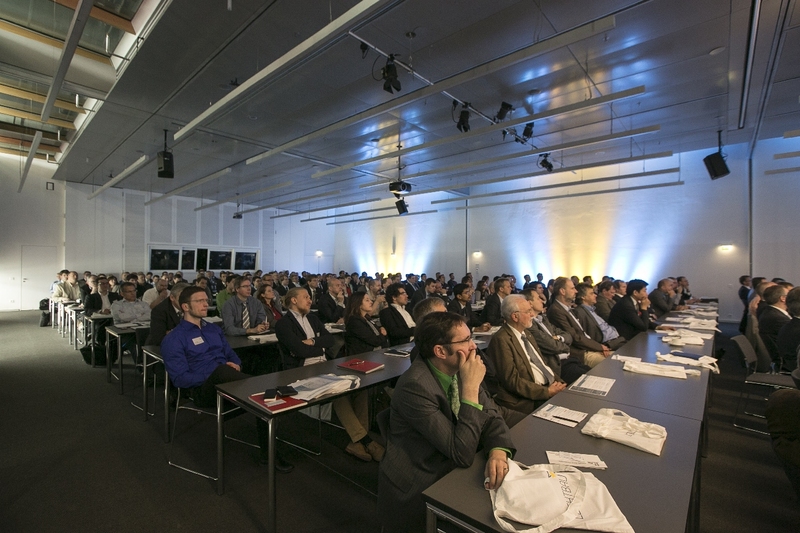 About 200 visitors attended the event and learned about the newest developments and trends related to hybrid lightweight design in the keynotes an technical sessions. 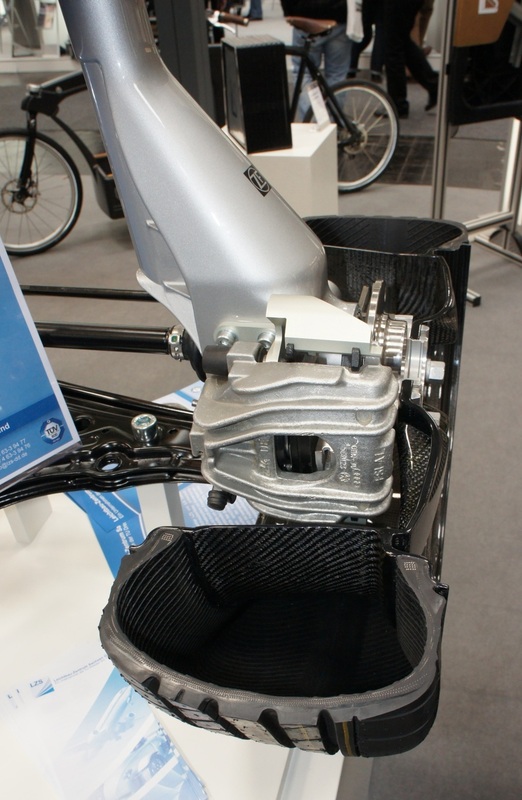 Mr. Seeliger (CEO of the Leichtbau BW) noted "Lightweight design begins in the initial product concept phase where 60 to 80 percent of the weight saving are made". He further said that lightweight products can be enhanced signifificantly, if simulation software is used during all product realisation phases. Based on the experience of multiple years we fully support this statement: The earlier a simulation is used in development processes, the more efficent a lightweight solution could be! The Technology Day finished with an interesting dicussion on the theme "Where will lightweight lead us to?". 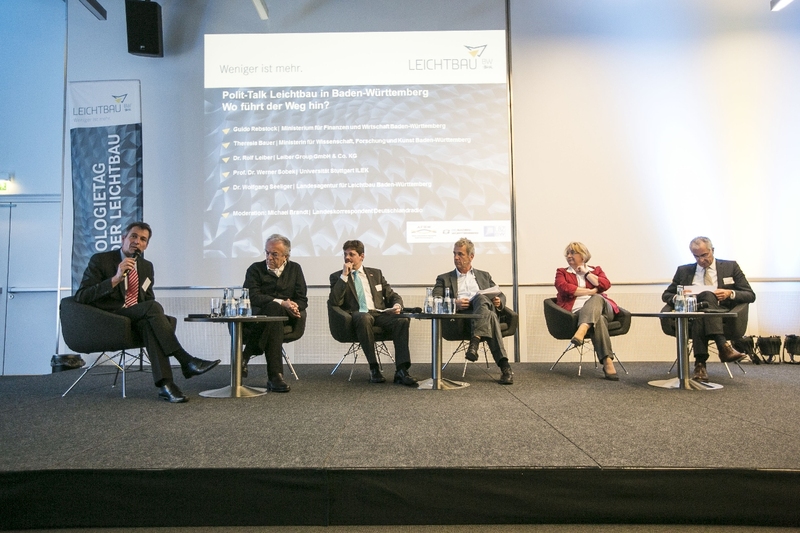 Involved in the discussion were Wolfgang Seeliger (CEO Leichtbau BW), Werner Sobek (University Stuttgart ILEK), Rolf Leiber (Leiber Group), Moderator Michael Brandt, Ministries of Research Theresia Bauer und Ministerial Director Guido Rebstock (on the picture from left to right). 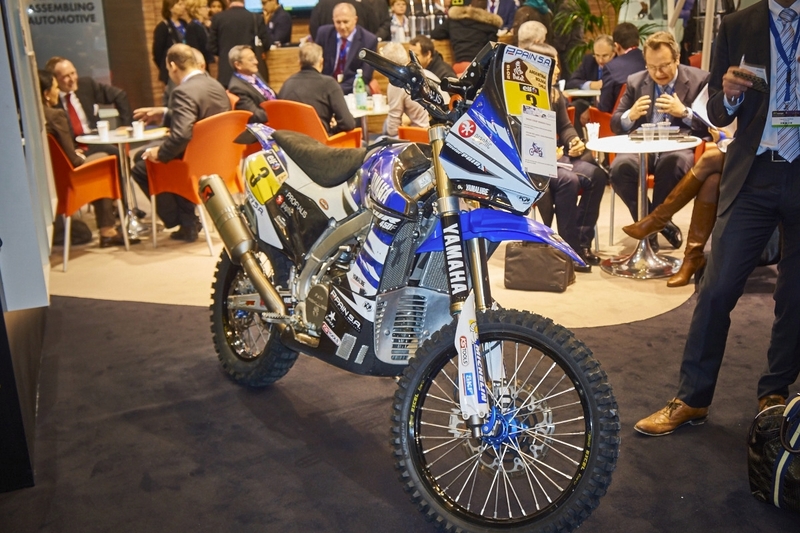 03.2014 - In 2014 the JEC Europe took place on two floors in exhibition hall seven. The exhibition space has increased by more than 8 percent to approximately 55.000 square meters. An explanation may be found in the constant growth of composite industry of approx. six percent/year. 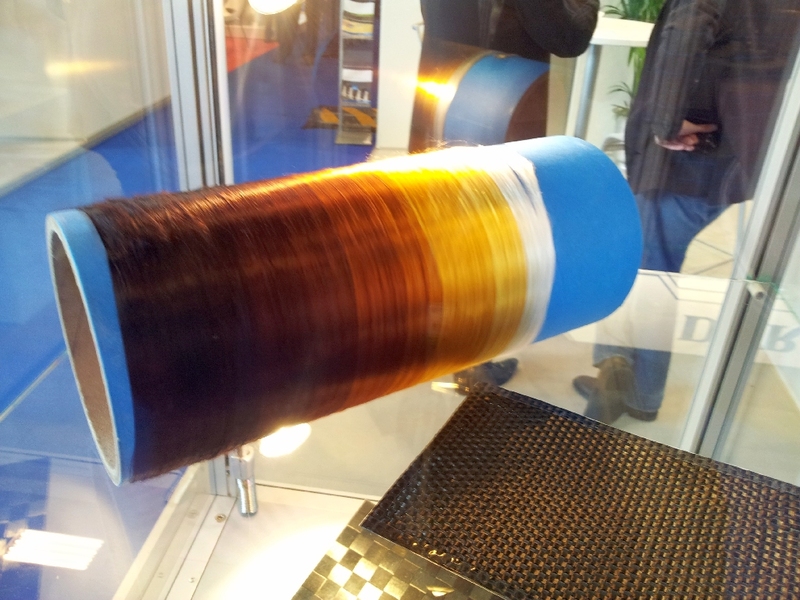 Different fields of application for composite materials were dealt with. 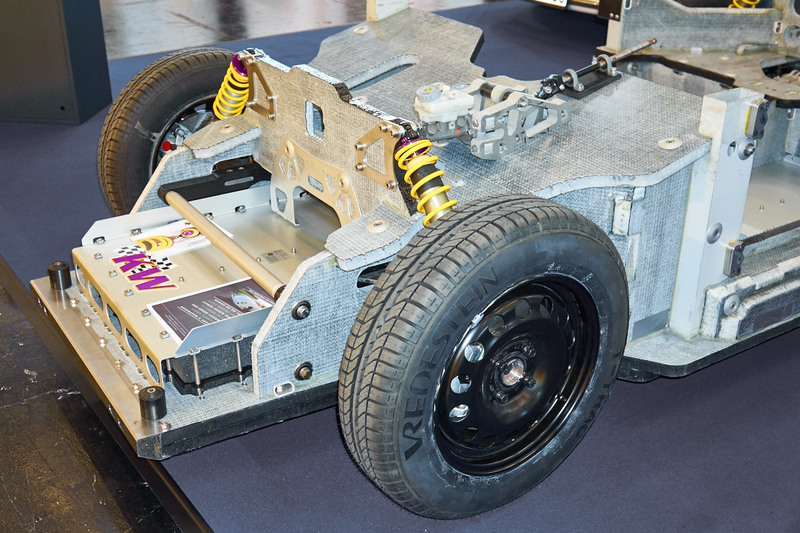 A large majority of exhibitors devoted to the lightweight vehicle components supplier industry. But also the branches aviation, aerospace, transportation, sports, leisure and shipbuilding were represented. 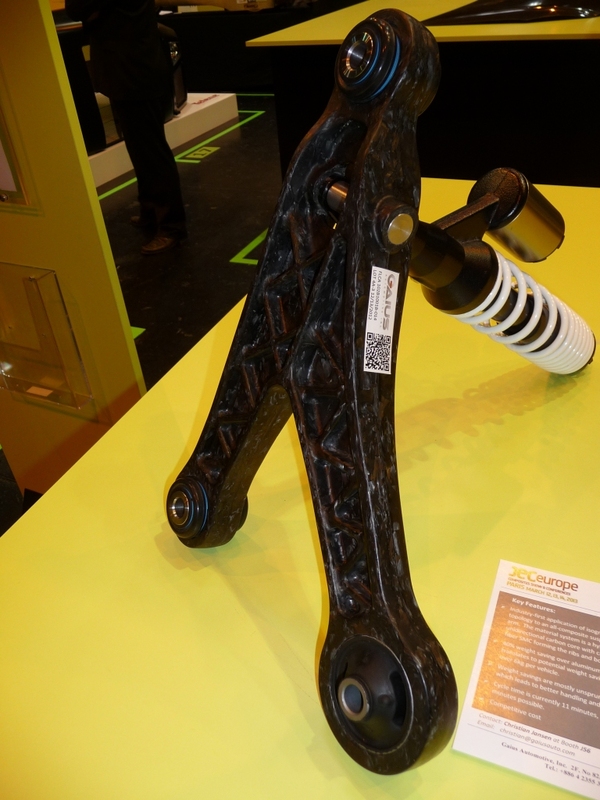 In many applications a great effort in replacing classic matrix systems (e. g. epoxy resins) by thermoplastic materials or polyurethane resins can be seen. 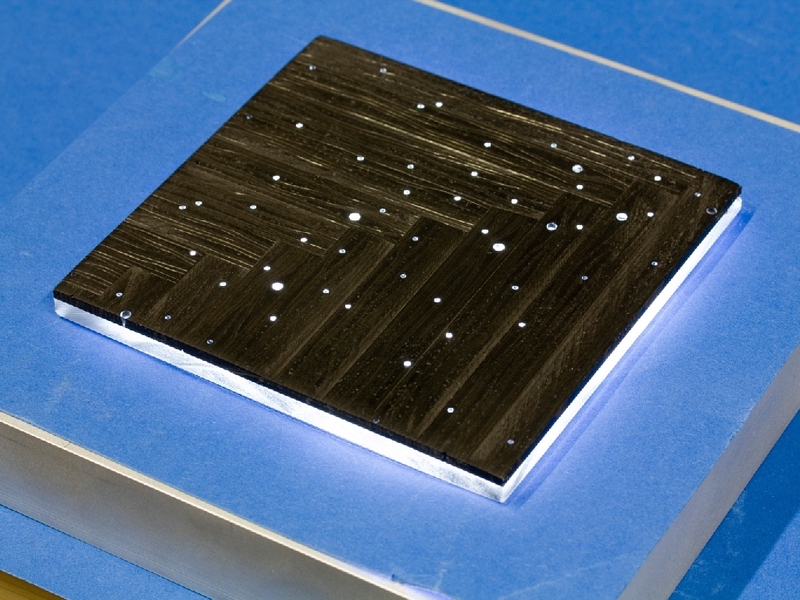 These materials offer new opportunities for economic serial production. 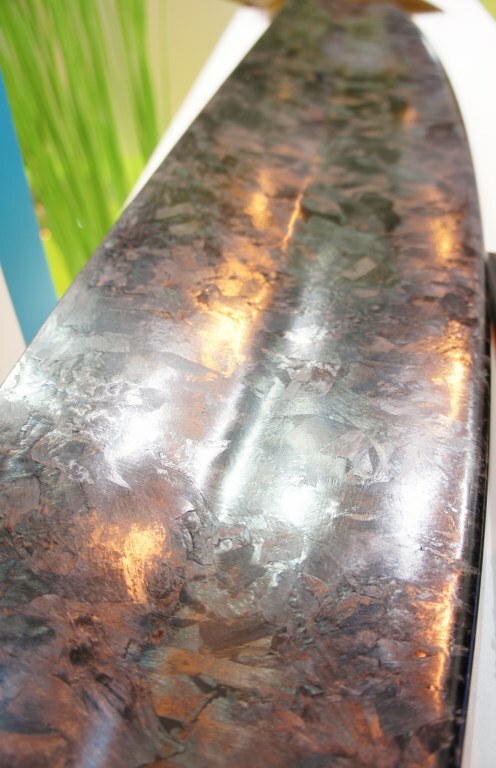 Furthermore providers of natural fibre composites were represented with some interesting exhibits and materials. 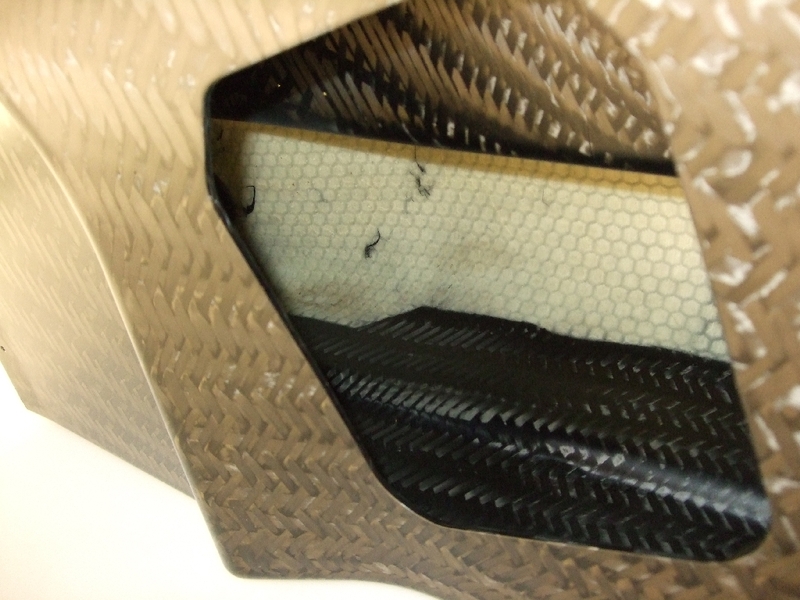 Even if natural fibre composites are niche products yet, a welcome aspect is the increasing availability of those materials and their mechanical properties. 02.2014 - The institute of civil engineering, special branch concrete construction, headed by Prof. Mike Schlaich invited the guests to the site of the old AEG turbine plant. The aim of the conference was it to provide an overview of the capabilities of composite materials in the civil engineering. 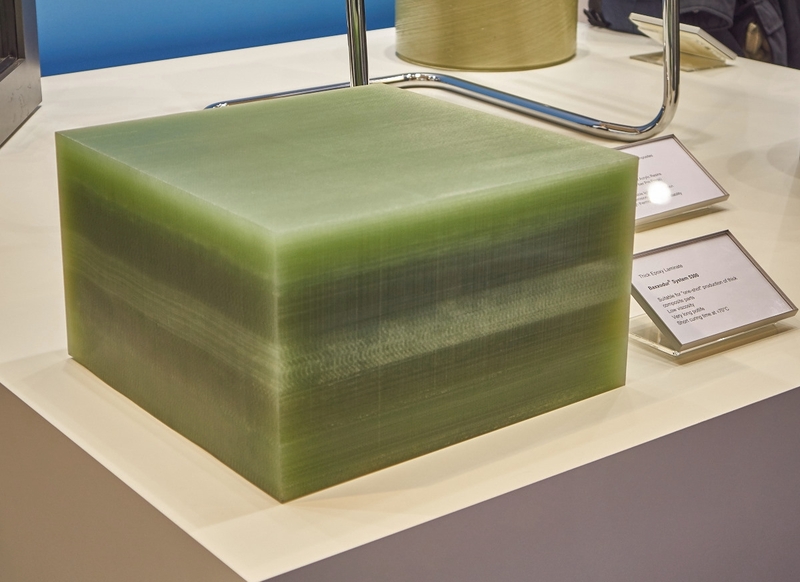 Besides the advantages of these materials, the speakers – research and application experts – highlighted the challenges of the use of carbon fibres for buildings. Within the blocks of the event, the internal developments of the institute were shown in the historic Peter-Behrens hall. 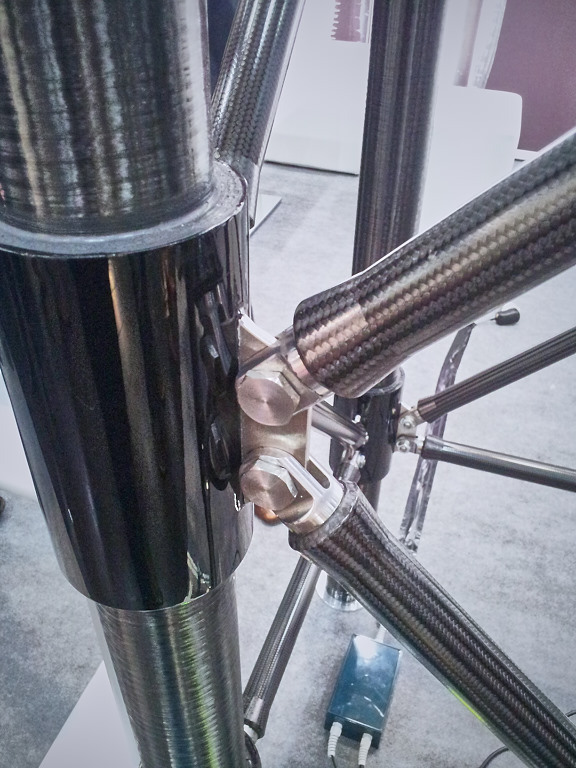 This included a bridge construction with CFRP tendons and active vibration damping actuated by pneumatic elements (see picture below). Read more about the conference in the article in the Momentume magazine. 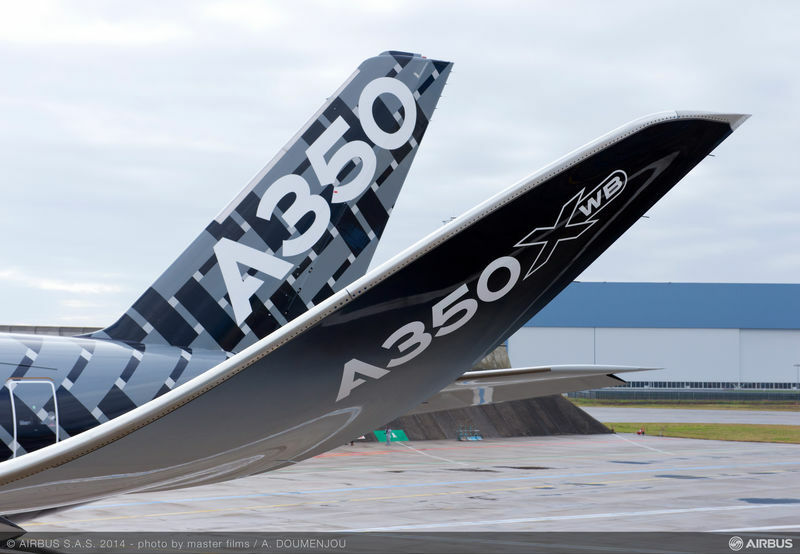 01.2014 - Airbus successfully performed the ultimate load test of the A350 XWB’s wing in December 2013, applying loads up to 1.5 times higher than those the aircraft would ever encounter in its entire in-service life. 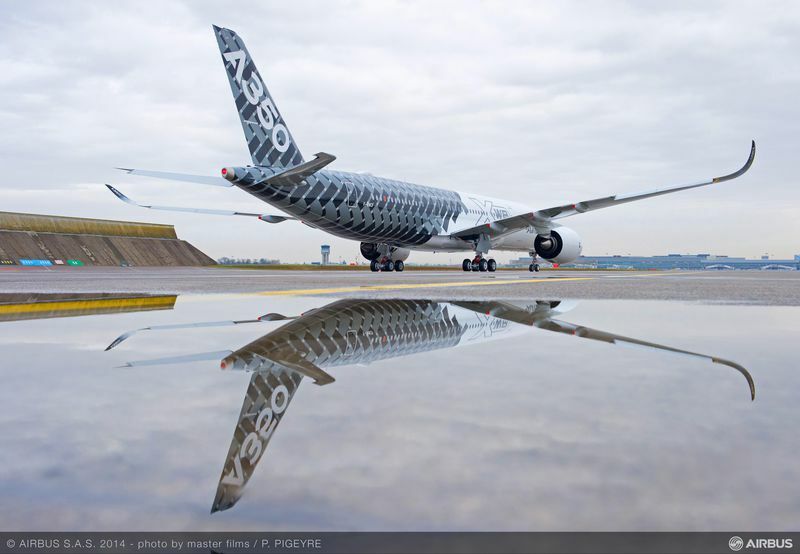 At ultimate load, the A350 XWB wingtip deflection exceeds five metres. 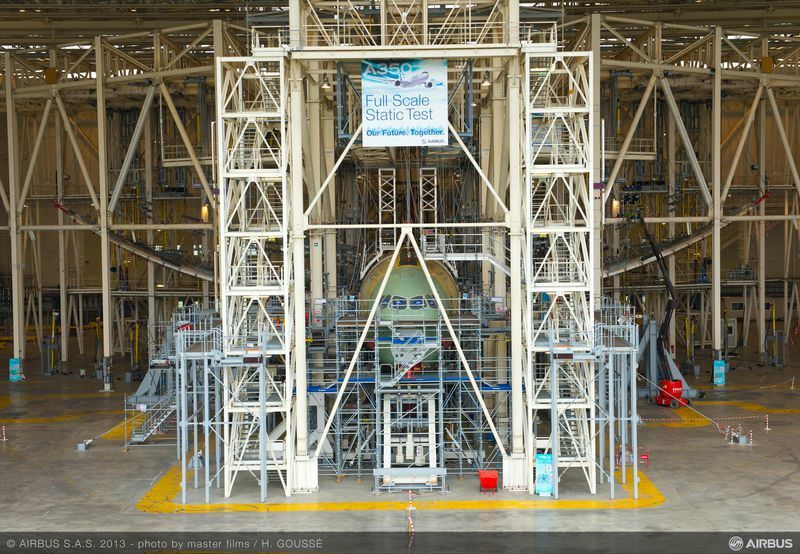 This test was performed on the A350 XWB static test airframe that was built specifically to demonstrate the structural integrity of the airframe. The strains induced into the airframe are measured and monitored in real time using more than ten thousand measurement channels. The huge volume of data recorded is analysed and correlated to the structural computer models which have been used to design the airframe. The successful ultimate load tests are important milestones for type certification and another step on the road entry into service of the A350 XWB in Q4 2014. 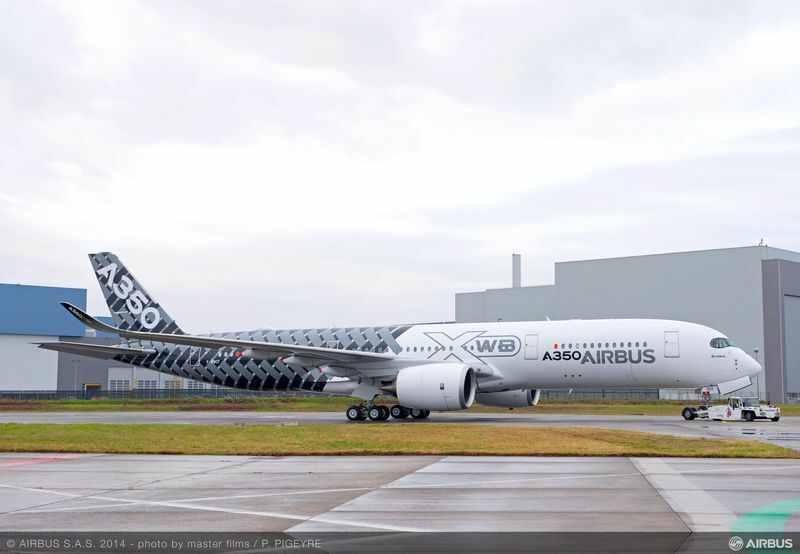 By the way, Airbus rolled-out its third A350 XWB flight-test aircraft, MSN2, from the paint shop in Toulouse. To reflect its primary construction from fibre reinforced plastics, the plane is featuring a distinctive “Carbon” signature livery. See the attached pictures for further details. 05.2013 - In the three-year cycle of the certification of our quality management system (QMS) the first control audit has taken place in May 2013. Conclusions: Audit successfully passed. 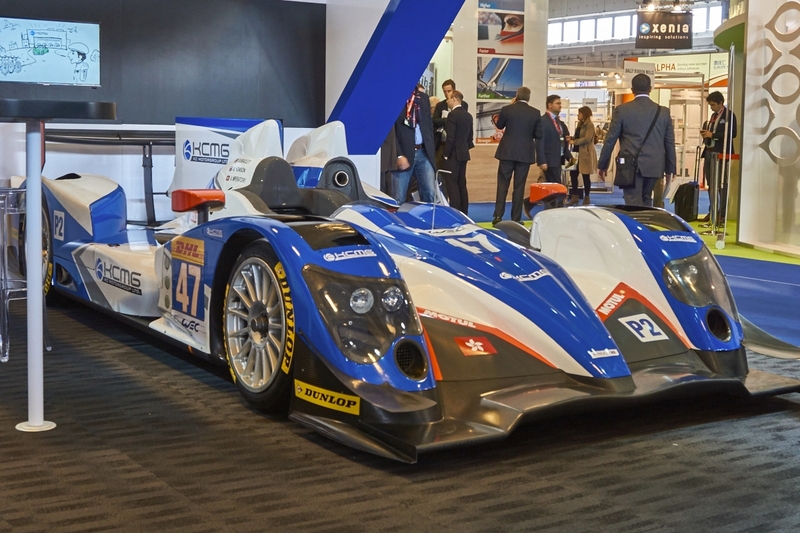 03.2013 - The JEC Europe 2013, the worlds biggest composites exhibition, has further increased to the previous year and the JEC Group already announced to increase the surface area of the trade show by around 8% for 2014. In spite of a rare snowstorm on the first day and the related cancellation of flights and trains, attracted the usual crowd of visitors. This year, the automotive supply chain was front and center. More than 70% of the parts shown in the Exhibit Area were related to automotive transportation. 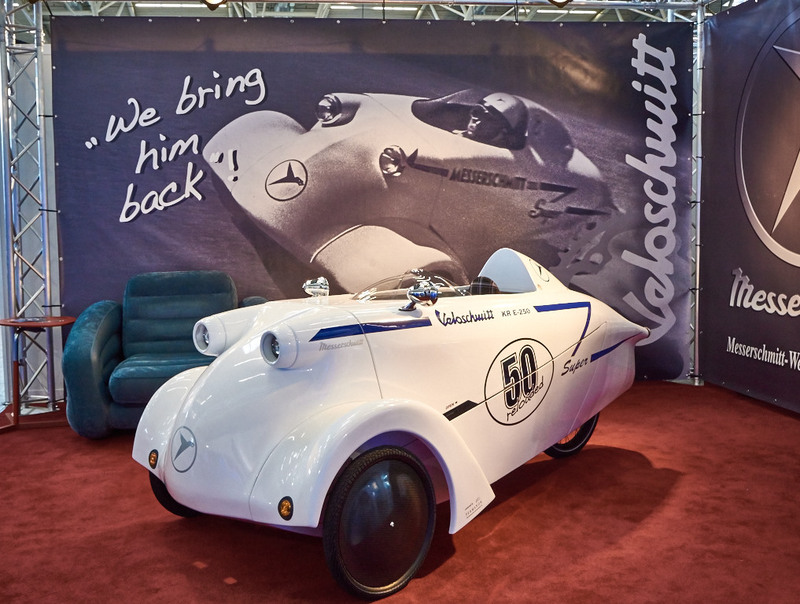 As in the previous years, the exhibition left us with many interesting impressions. Please see the following pictures. 09.2012 - Main Topic of the 5th Innovation Day, arranged by the CFK-Valley Stade e. V., was the use of new materials in civil engineering and architecture. 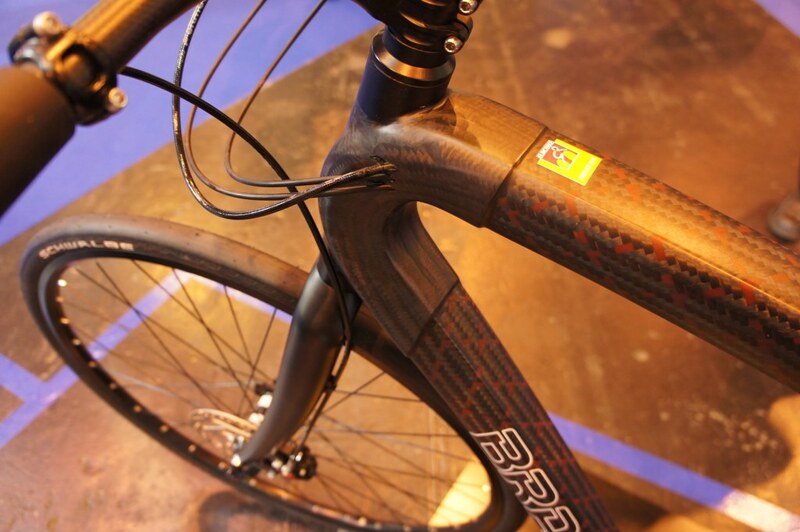 Practical examples were used to show potential future fields of application of composite fibre materials in civil engineering. In a common presentation held IDVA and Mr. Maier (Leonhardt, Andrä und Partner Beratende Ingenieure VBI, GmbH; short: LAP) the use of CFRP in civil engineering was highlighted on the basis of definite projects. The joint talk with the title “Composite fibre materials in structural engineering and bridge construction – experiences and challenges” covered the advantages as well as the building-specific requirements and problems of composite materials. The example of a bridge renovation with preloaded CFRP strips illustrated this topic among others. The globally operating civil engineering company „Leonhardt, Andrä und Partner Beratende Ingenieure VBI“ was founded in 1953. Since then many innovative civil engineering projects were successfully archived, for example the rebuilding of the former Reichstag, the Olympic stadium in Munich and many large bridges around the world. Over time, many pioneering innovations, both in construction and planning, were developed within these projects. You can find more Information about the 5th Innovation in the official press release of the CFK Valley Stade e. V. (only available in German) and the Program of the event (also only available in German). 07.2012 - Within the scope of the World Stadium Congress 2012, June 3rd - 5th the World Stadium Award has been awarded. IDVA competed in the “Most innovative use of technology in stadium design” category together with the civil engineers of Leonhardt, Andrä und Partner (LAP). The jury selected three finalists in this category from the many submitted works, the design study „The Cloud - the flying roof“ is one of them. “The Cloud” is thus the only draft which was voted among the best three contributions. The competitors like the Moses-Mabhida-Stadium Durban and the Melbourne Stadium have already been realized. The idea of mobile and flying roof using helium bumped into enthusiasm with the „Supreme Committee Qatar 2022“. This committee is the official governmental agency responsible for the award of stadium planning contracts for soccer world cup championships of 2022. One can hardly escape the charm of combining aviation technology with civil engineering in a way that results in a new principle of supporting roof structures, especially for mobile use. 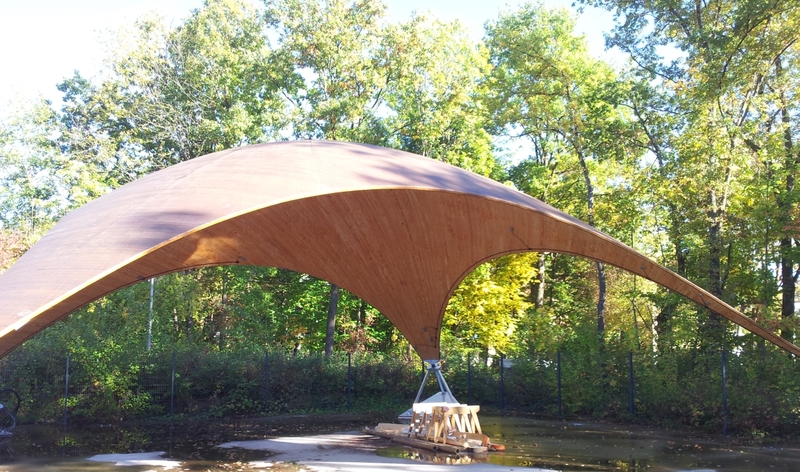 Floating like an airship – because it is lighter than air – the roof needs no complex and massive supporting structure. So it is possible to fly the roof to its destination without using any lifting gear. 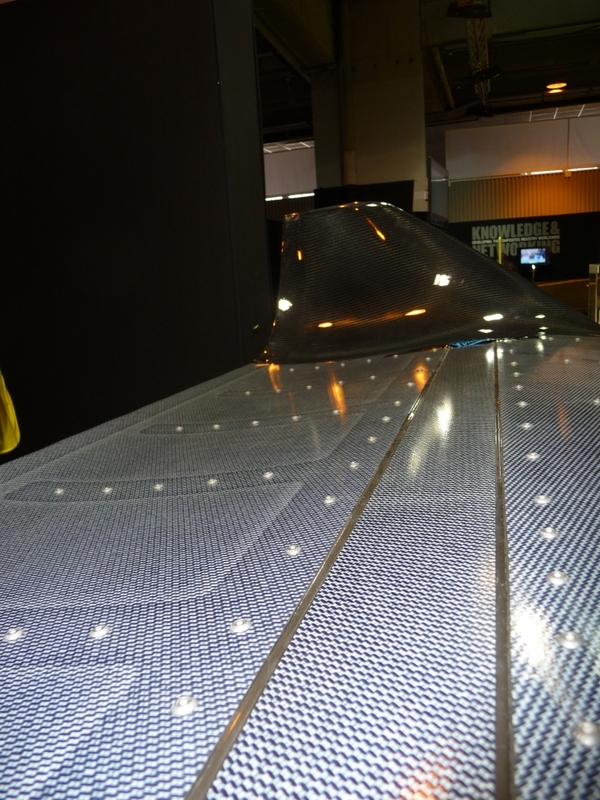 Together with the civil engineers from LAP Stuttgart the aviation technology was merged with civil engineering technology aimed to develop new generations of wide projecting roofs. 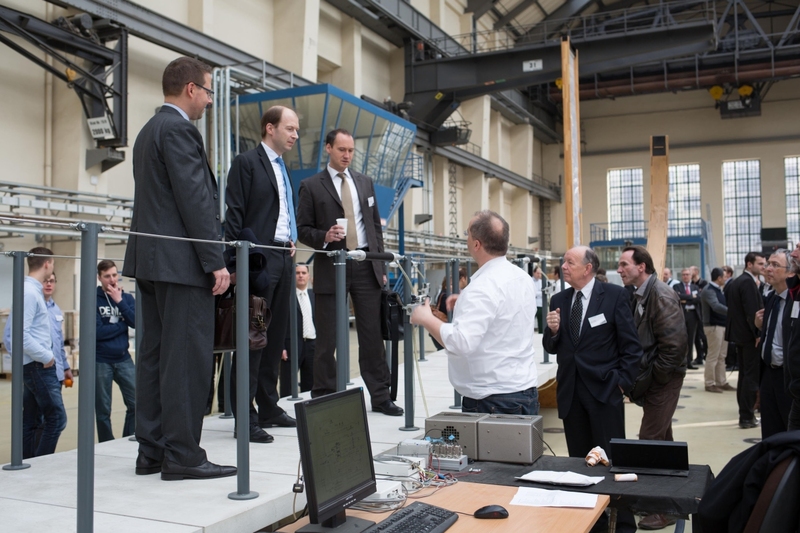 06.2012 - The accession to the association “Leichtbauzentrum Baden-Württemberg“ (english: Center for lightweight construction Baden-Wuerttemberg) underlines the relevance of hybrid lightweight construction in the future of the automotive and aerospace industry. 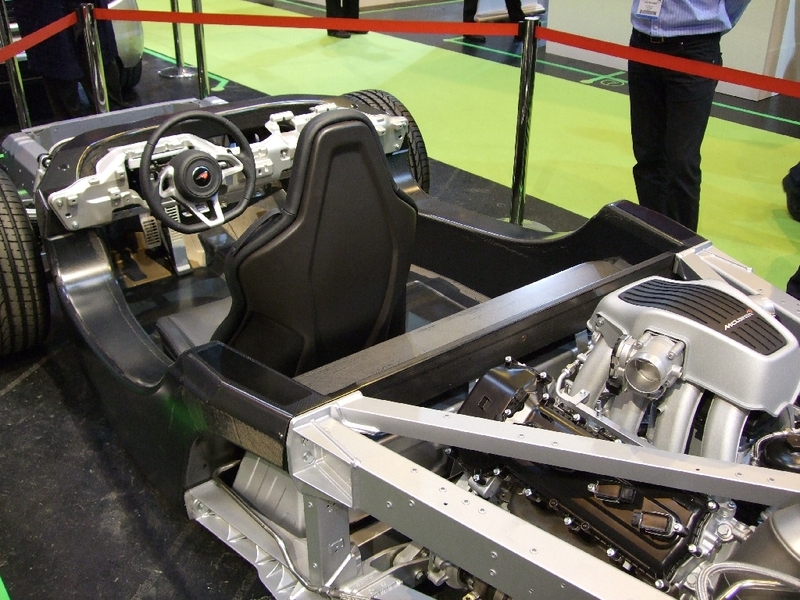 True to the motto “the right material in the right place” fibre reinforced plastics (CFRP) are being introduced in automotive industry with the focus on cost and efficiency. 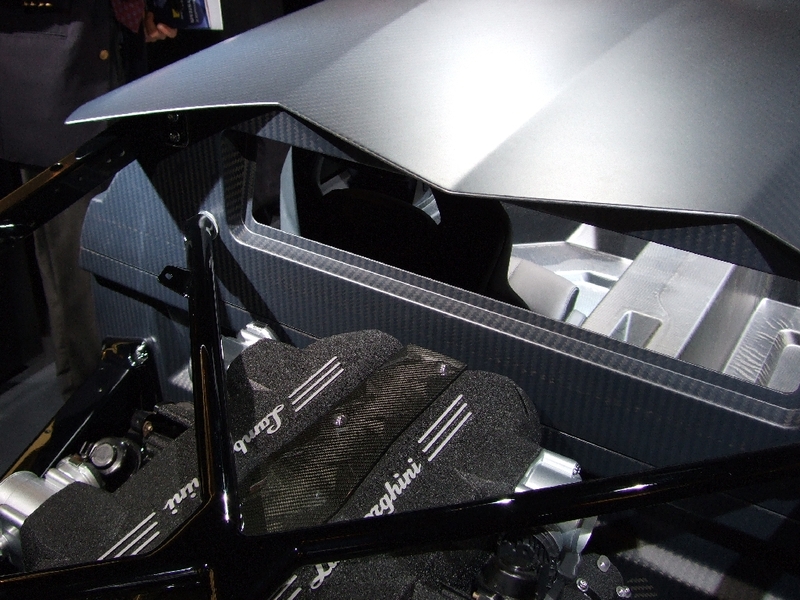 But the interaction of steel, aluminum, fibre reinforced plastics and other materials under the corresponding operation conditions means a huge challenge for design, simulation and manufacturing of hybrid lightweight constructions and complete products. With the membership at the Leichtbauzentrum Baden-Württemberg we can extend our knowledge in this particular discipline and use the advantages of the network of industrial and academic partners. 05.2012 - We are delighted that our quality management system is now certified according to DIN EN ISO 9001:2008. But above all, our customers will benefit from this news. Over the last few months we have implemented structured and systematic processes. These processes grant a high level of quality of our services and aiming at a constant improvement of performances. Here you can find out more about IDVA’s quality policy. 04.2012 - The Hannover exhibition 2012 as the world’s largest industrial fair is presenting the world’s industry technology capabilities on 466.100 sqm ground area. Opened by the german chancellor Angela Merkel and the Chinese Premier Wen Jiabao, the exhibition has a special booth area for this year’s guest country China. The existence of an additional exhibition hall especially for lightweight design shows the growing importance of this industrial sector. 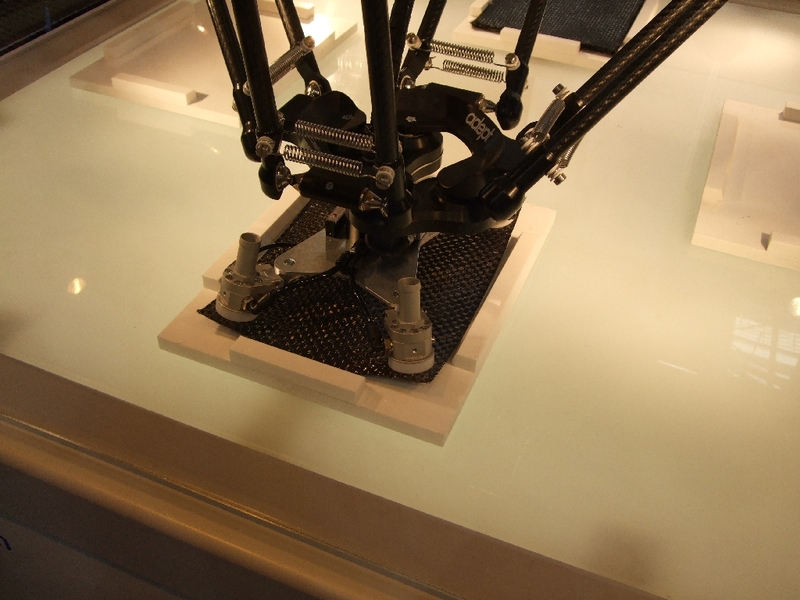 A variety of exhibits illustrates the progressing development in production- and automation technology of fibre reinforced plastics. 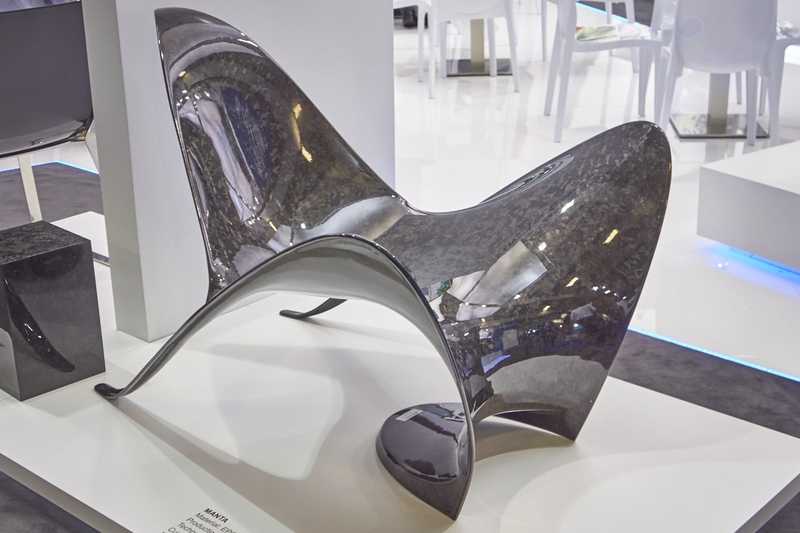 The lightweight constructions combining metal and plastic materials (hybrid lightweight design) receive special attention on this year’s Hannover exhibition. 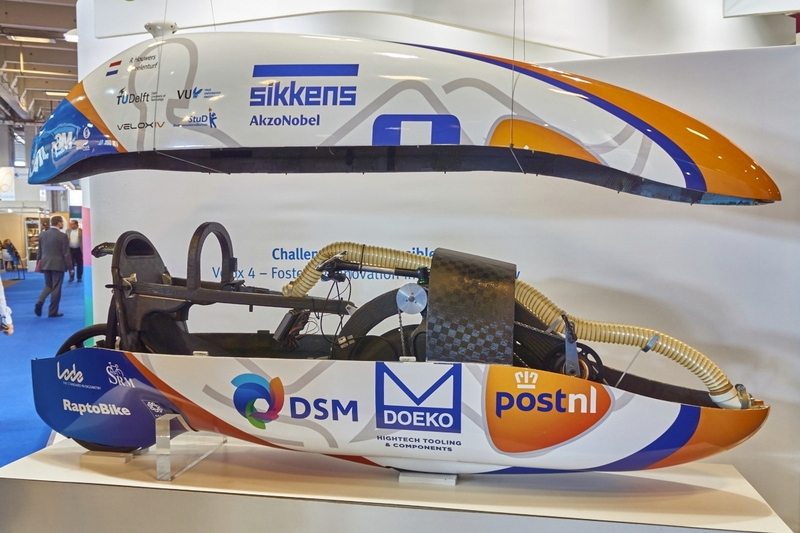 This innovation gets pushed by the automotive industry which is forced to get the maximum of performance out of every material due to weight and cost saving issues. 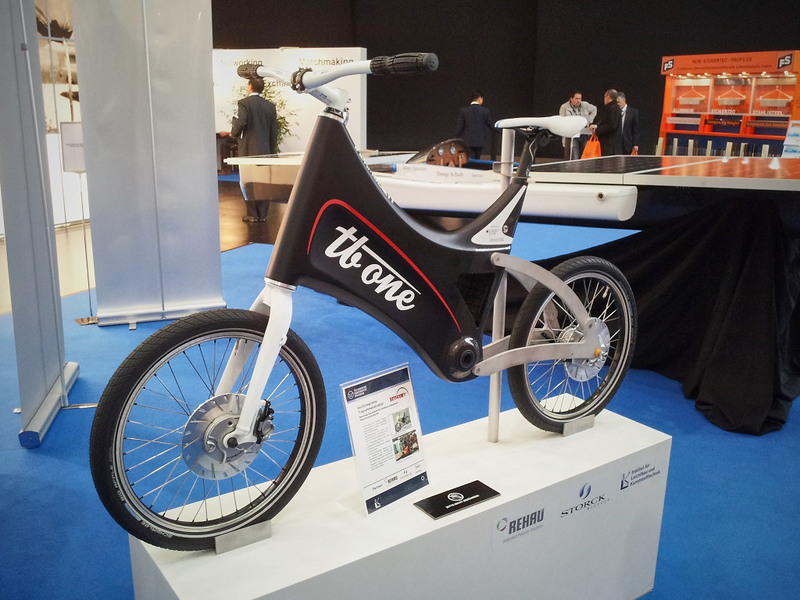 See the press release at the official website about lightweight constructions at the famous trade show. 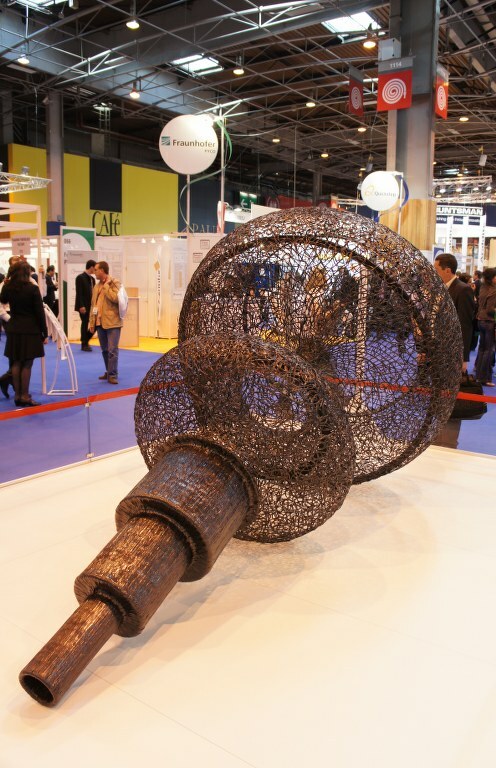 04.2012 - As in past years the world’s biggest exhibition related to fibre reinforced materials opened its doors in Paris again. 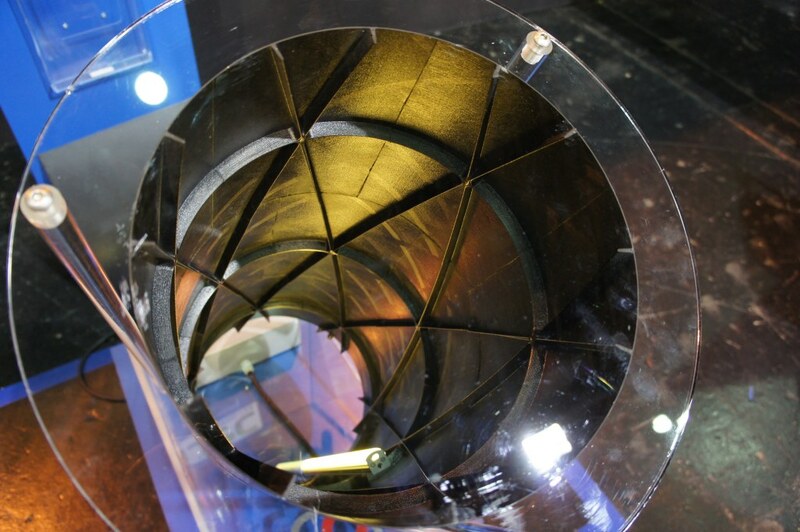 The JEC composite show is the most significant exhibition in composite business. It is the main platform for innovative material trends and provides an overview of the entire value chain of the composite industry. The continuous growth shown in the number, size and quality of the booths and the exhibits is remarkable. 02.2012 - We took part in the “1. Fachkongress Composite Simulation” (engl. 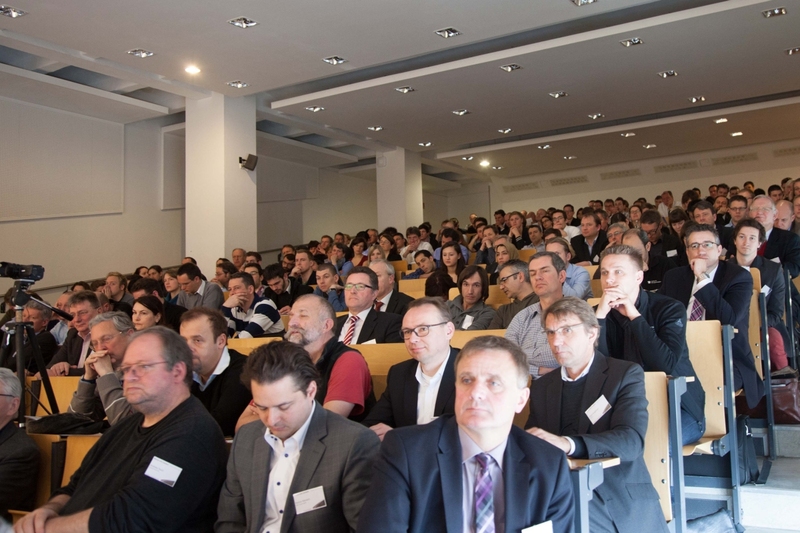 1st Composite Simulation Expert Conference) in Ludwigsburg/Baden-Wuerttemberg in the end of February. The conference has been organized by the business networks AFBW (engl. Alliance of fibre-based materials Baden-Wuerttemberg e.V.) and VDC (Virtual Dimension Center Fellbach). Speakers from aircraft and automotive manufacturers as well as research institutes provided an overview about methods and current challenges in composite simulation. Most important topics involved material-, process- and structural simulation and also crash and impact cases. 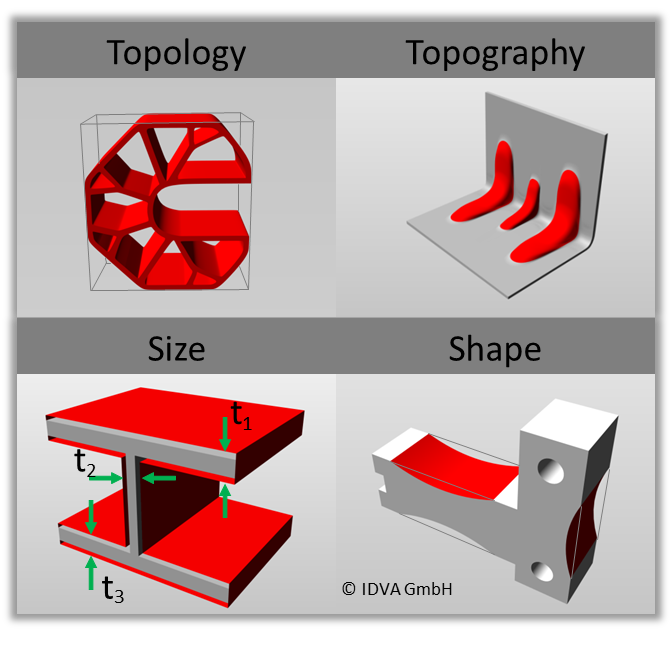 01.2012 - IDVA GmbH is now taking advantage of the 3D CAD system SolidWorks from Dassault. Parametric and feature-supported work surfaces are giving us the ability to use a perfect tool for complex 3D constructions and challenging visualization work. Besides the classical topics of part and assembly construction we are using SolidWorks for visualization of parts and assemblies and their kinematic relations during the development of manufacturing processes. 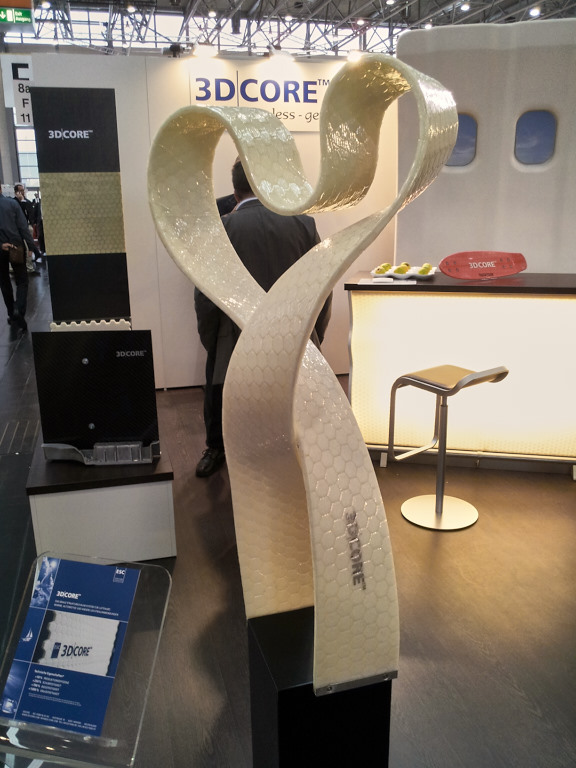 09.2011 - The IDVA GmbH has demonstrated presence at German’s biggest exhibition for composite materials that took place in Stuttgart’s exhibition area this year. 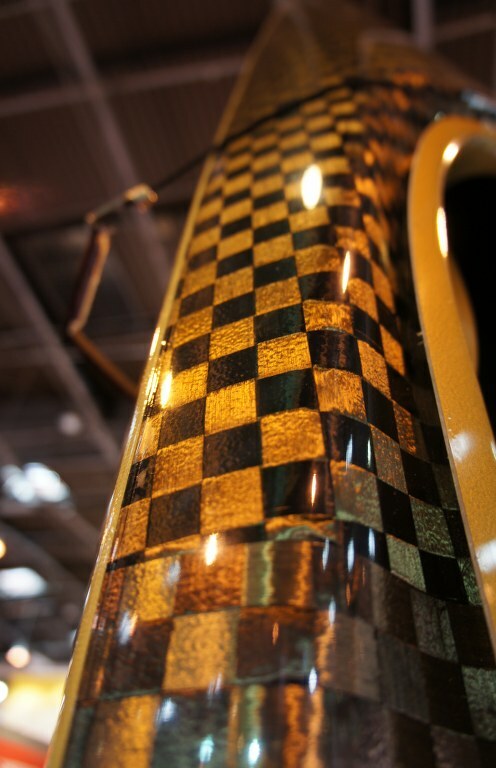 The Composite Europe represents a good opportunity to get informed about current developments in composite business. This year’s focal points were automation technology and automotive applications. In following you see some impressions from the exhibition. What is an optimization and what could be the benefit for the client? Through the objective application of FEA optimization, shorter development periods for CRFP parts are possible with regard to minimal weight, minimized/defined/symmetrical displacement, buckling safety as well as further aims. In most cases the optimization is used to reduce costs and development times of parts. In some cases the development of parts or assemblies becomes possible at least through this method, because it is impossible to perform a reasonable development in economic terms by the conventional iterative approach. Therefor computer based optimizations are increasingly used within an early stage of development, for example to identify the optimal ply layup according to the applicable load state. IDVA uses Altair’s market leading Hyperworks/Optistruct software for optimization problems. Optimizations with a variety of different objectives, parameters and constraints can be performed. Besides, it is possible to include manufacturing constraints. On the sketches you can see the four most common optimization methods. Topology optimizations are used, to determine the optimal structure for the given design space according to the flux of force. Wall thicknesses and cross sections can be optimized using the size optimization method. A size optimization of CRFP structures means, to optimize the ply layup, as well as the ply angles. The shape method enables the targeted optimization of various areas on the outer contour. For improvements of a structure with bead profiles, the topography optimization is the right decision. The previously described advantages were also used by the aircraft manufacturer Airbus. Airbus used Altair’s Optistruct Software during the development of its A380 and A350 XWB aircrafts. 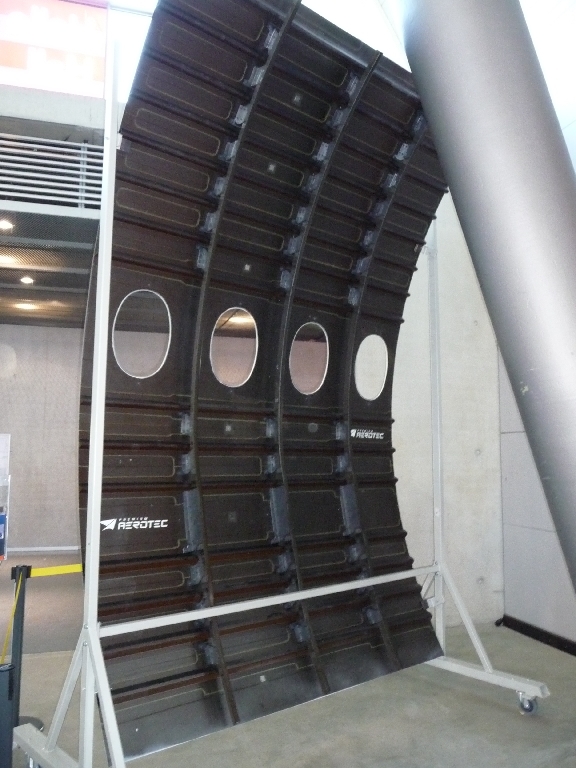 Recently the first center wing box for the A350 XWB has been delivered to Airbus St. Nazaire’s assembly plant. 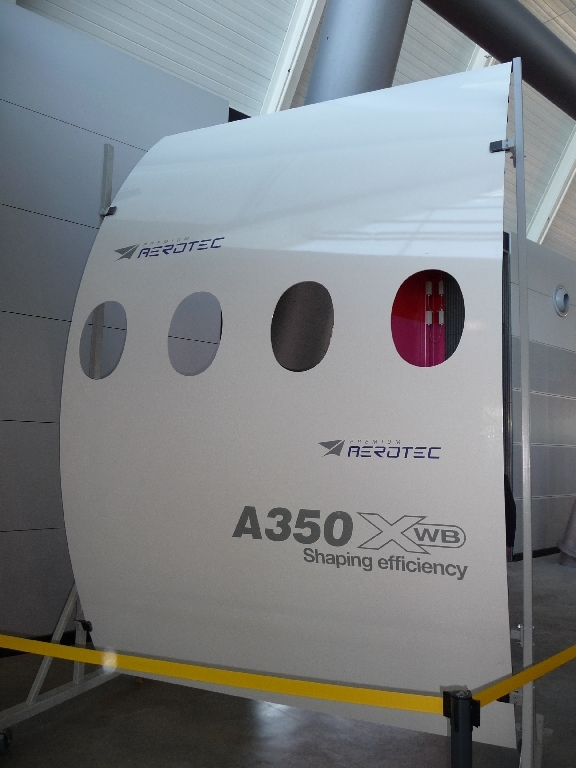 The center wing box of the A350 XWB consists to 53% of composite materials. 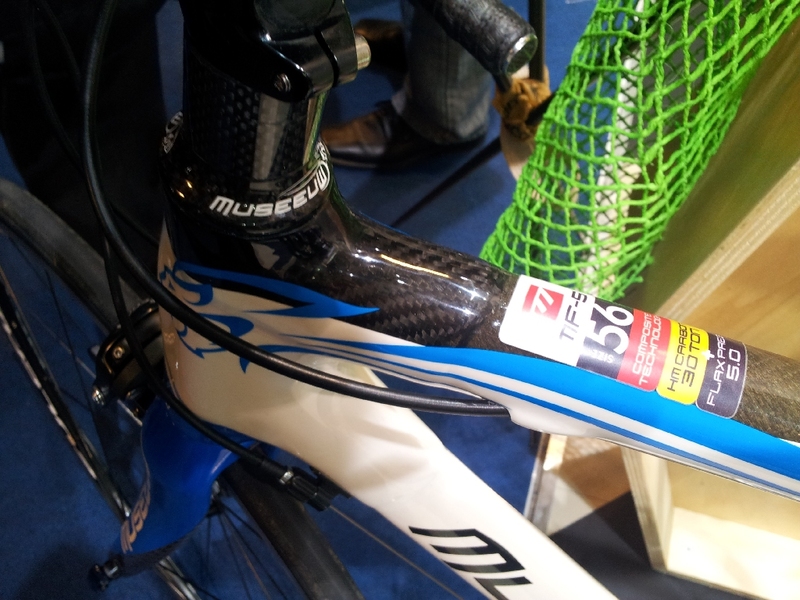 During optimization methods a weight reduction of 50% has been achieved. Especially in the particular case of parts with complex load cases, the full potential of an optimization software can be used. It is recommended, to make a geometry optimization even before the initial design is made. The results are usually bionical, so the solution looks like a nature inspired structure. Through all stages of realization towards a manufacturable part, it is necessary to keep an eye on the economic efficiency and feasibility. Unfortunately it is often the case that in this early stage of development a large part of the optimization potential is left unutilized. In the later project phase it requires a lot of effort to utilize the limits of the possible of inefficient structural concepts. 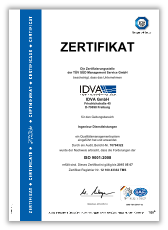 07.2011 - IDVA GmbH has become a member of the Forum Luft- und Raumfahrt Baden-Württemberg e.V. (LR BW). 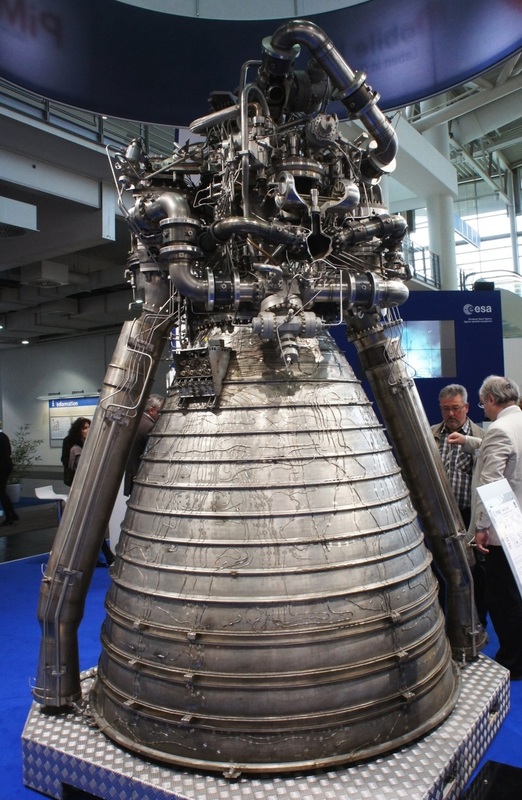 LR BW represents the aerospace industry in the southwest of Germany. It is the link between private enterprise, science and political decision makers as well as other socio-politically relevant groups. With its membership in the LR BW the IDVA GmbH will continue to expand its business relations to the aerospace industry. 06.2011 - The Beacon Power Cooperation based in Massachusetts develops and produces flywheels of CFRP for use in energy networks. 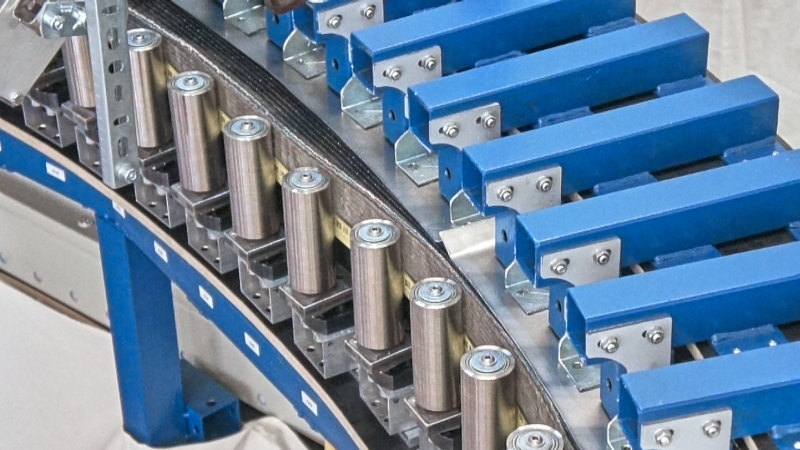 A 20 MW flywheel plant in the US state New York was inaugurated on July 12, 2011 to compensate current fluctuations in the electricity network of the metropolis of New York. The increasingly use of renewable energy leads to new challenges in quality of power supply, as the capacity of energy sources like photovoltaics and wind wheel heavily depends on the meteorological conditions. 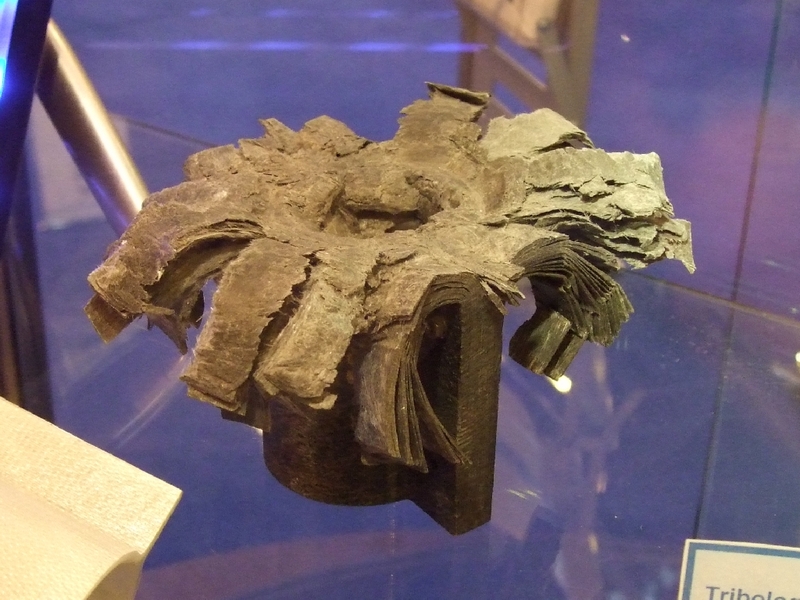 The conflontation of the proven technology of energy storage by flywheels with high performance materials such as CFRP is another step toward practical introduction of renewable energy on a large scale. 04.2011 - On the occasion of the tenth anniversary celebrations of the CTC GmbH with approximately 50 invited guests, the new head of Airbus Deutschland, Günter Butschek, highlighted in his welcoming speech the importance of the CTC GmbH within the Airbus group structure. 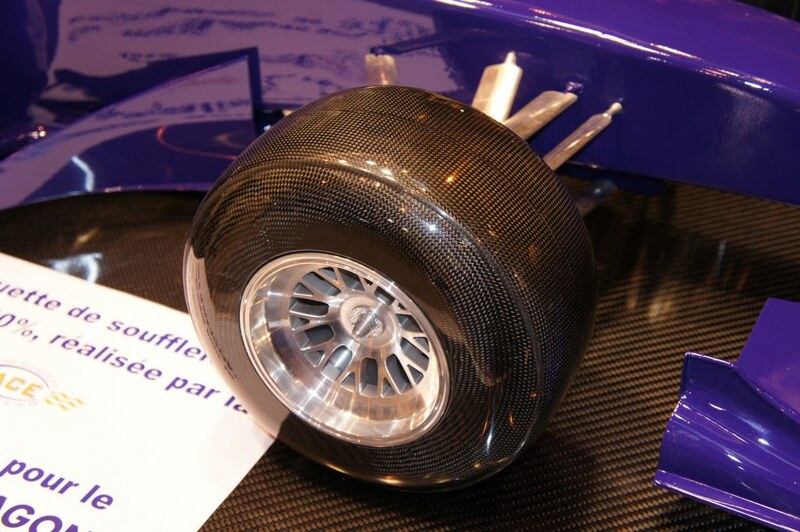 Looking back, the CTC GmbH is deemed to be the nucleus of the CFRP-cluster in Stade. 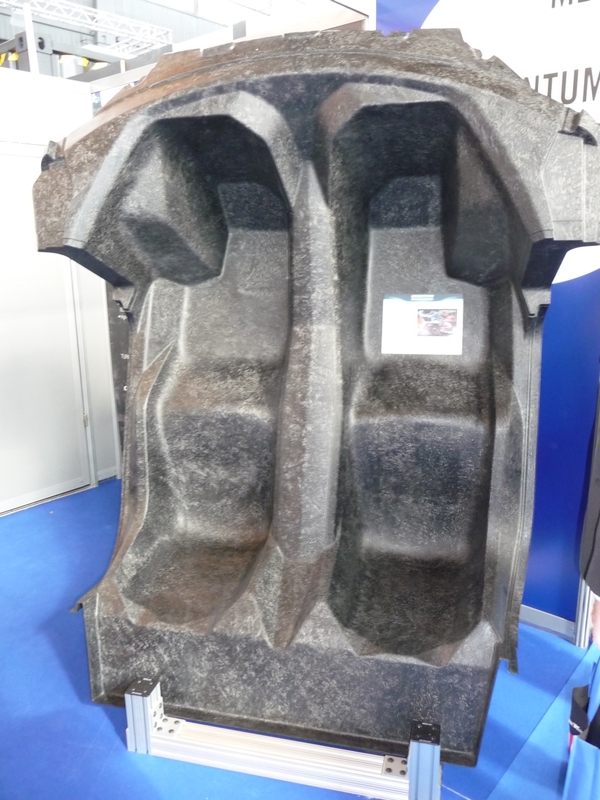 New composite processes and composite products for a wide range of applications are developed at Technology Center Stade for the aircraft, shipping and automotive industry. The IDVA GmbH was represented at the anniversary celebration. In addition to the official celebrations and the interesting lectures, we had the opportunity to talk to former colleagues and counterparties. 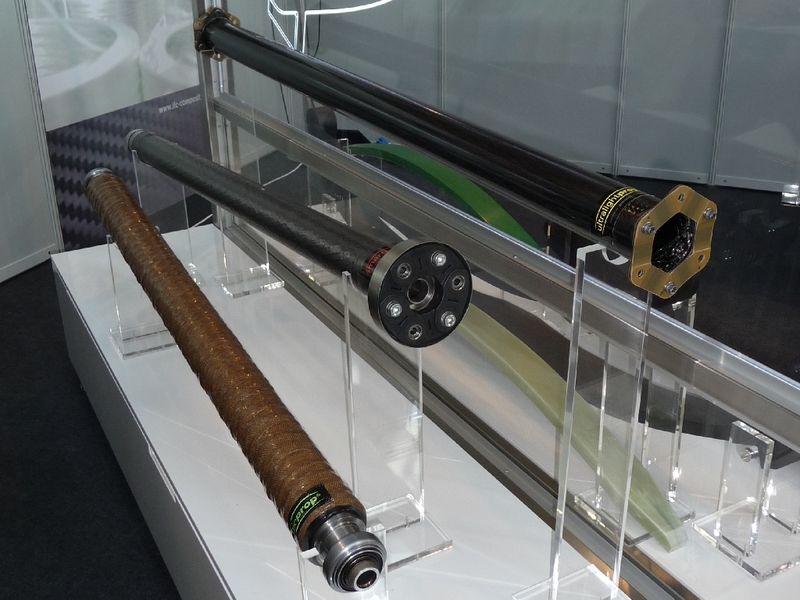 Some results of our long-term business relation to Airbus and the CTC GmbH were displayed at the exhibition site and can be seen in the following images. 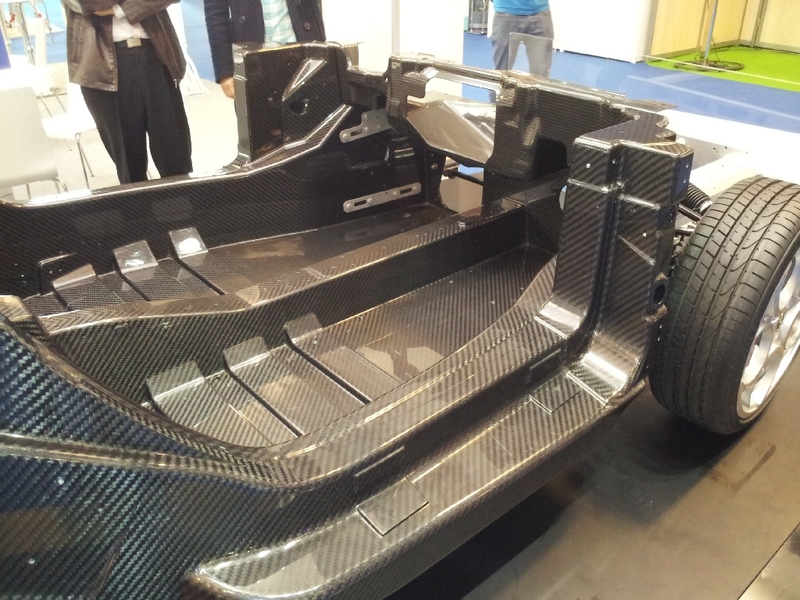 03.2011 - The IDVA GmbH has demonstrated presence at the world's biggest exhibition for composite materials. 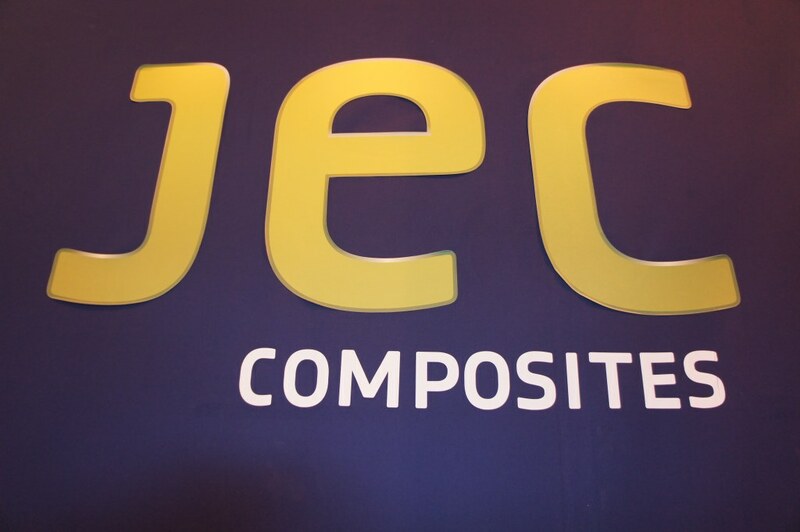 The JEC composite show is the most significant exhibition in composite business. It is the main platform for innovative material trends and provides an overview of the entire value chain of the composite industry. At the JEC you could once more eye up some innovative ideas, so that we had taken many new impressions back to Freiburg. In following you see some impressions from the exhibition. 02.2011 - The IDVA GmbH presents their new internet presence. Here you can gain an insight in to our portfolio and our services. In our News sections you can find the latest news about our company as well as other important tidings from the composite industry. To get in contact with us, simply select the appropriate menu item. We like to thank everyone who was involved in the realization of this web page. 12.2010 - In the domain of CAE and numerical simulation the IDVA GmbH fully relies on the Altair Hyperworks software package. Our employees gained experience in using this simulation software during daily use and training courses in recent years. Due to the superior features, which provides innovative solutions to working intensive steps, costs and time required will be considerable reduced for analysis. Altair Hyperworks was strengthening further its position as market leader in CAE solutions and combines all tools necessary for structural analysis in one software suite. These are mainly products for modeling, analysis, structural optimization, visualization and data management solutions. More and more large companies, therefore, rely on the Altair products. This guarantees a trouble-free working relationship.